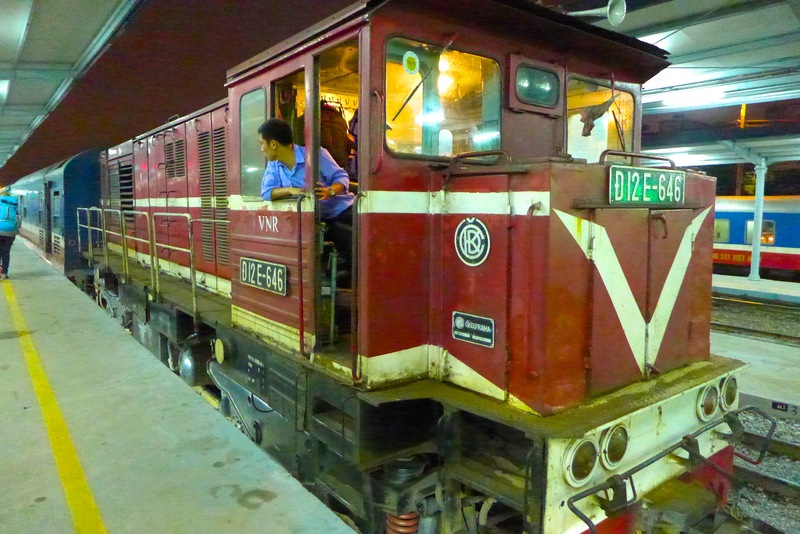 Do this: Take the Overnight Train from Hue to Hanoi. 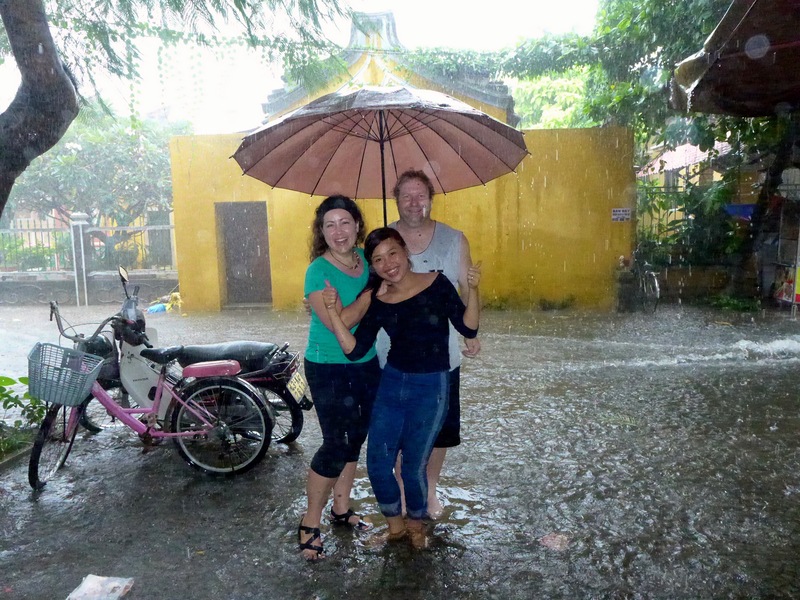 10.26.2014 – My travel partner wasn’t feeling well but I could’t stay inside anymore so, off I go- wandering the streets of Hue I find the Citadel, the water puppets show and consult with one of the 139 ‘travel agencies’ in town. 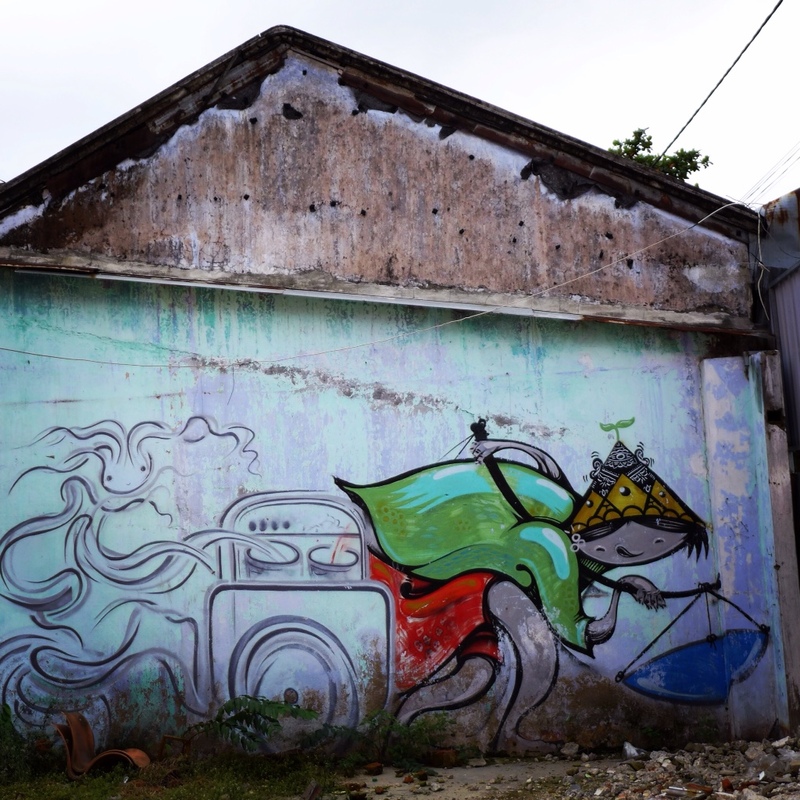 On the way back I spot some cute graffiti: I wonder what the ghost is cooking? 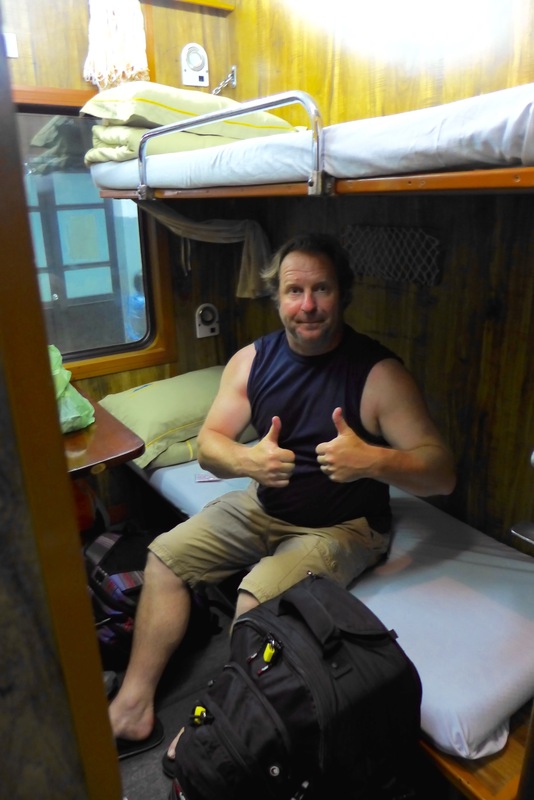 At the ‘travel agency’ (& after consulting seat61.com) we booked into a 4-berth, ‘soft sleeper’ on the overnight train from Hue to Hanoi for ~$40. 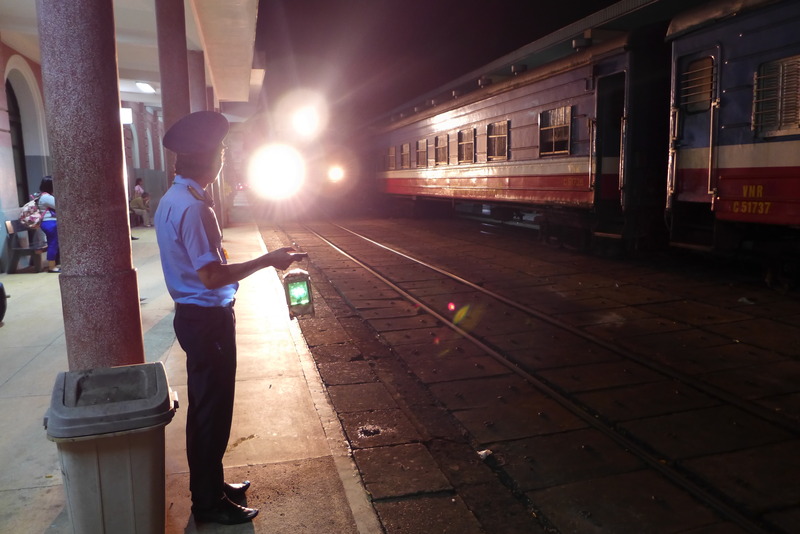 The train left at 9:30pm. 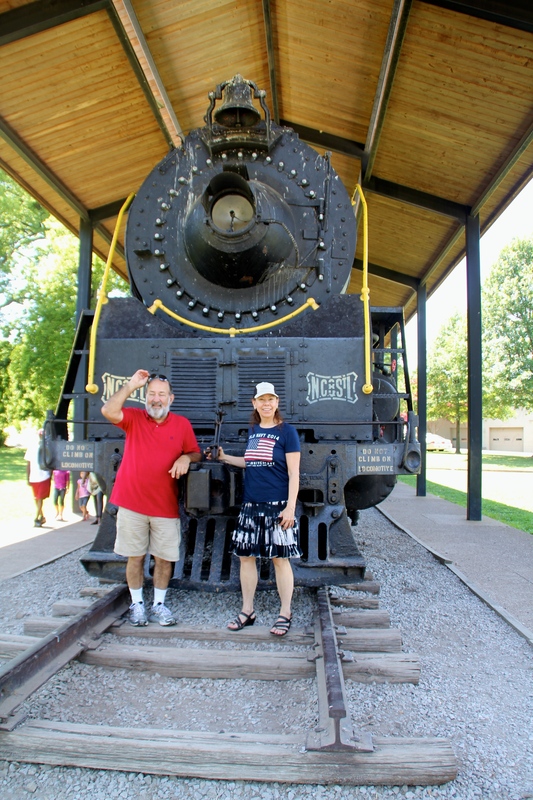 This was our favorite train ride. We went to bed fairly early and the ride was smooth and quiet (with my earplugs in!). 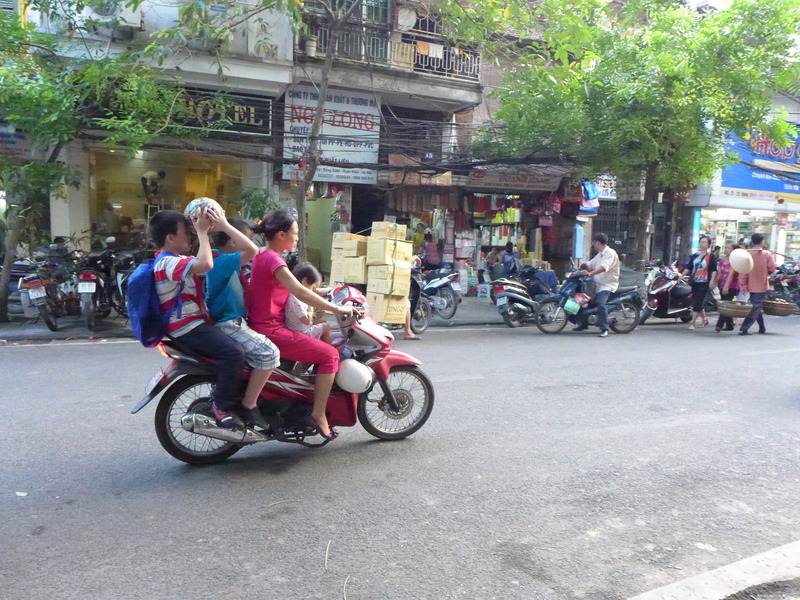 We woke up, well rested at 10am and had a few hours to journal and relax before arriving in Hanoi just after noon. The taxi drivers at the station INSISTED on overcharging us and we ended up walking away from the station until one of them followed us and gave us a price we liked $3US for a 10 min ride. 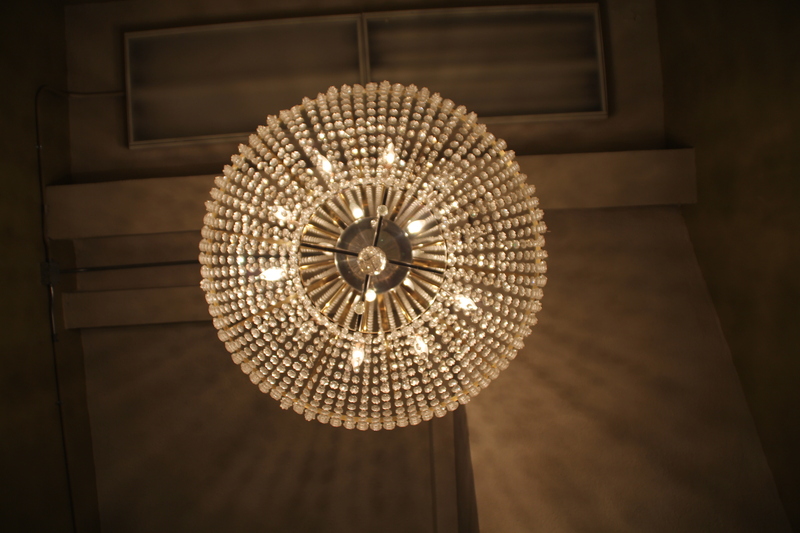 We splurged and stayed at the Crystal Hotel ($19/night) and we were pleased with the location, room and included breakfast. 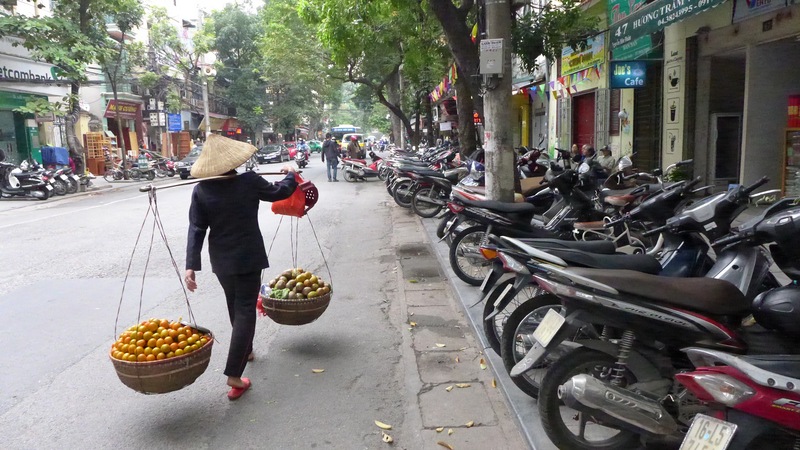 We had a great time wandering the streets of Hanoi and taking in the sights. 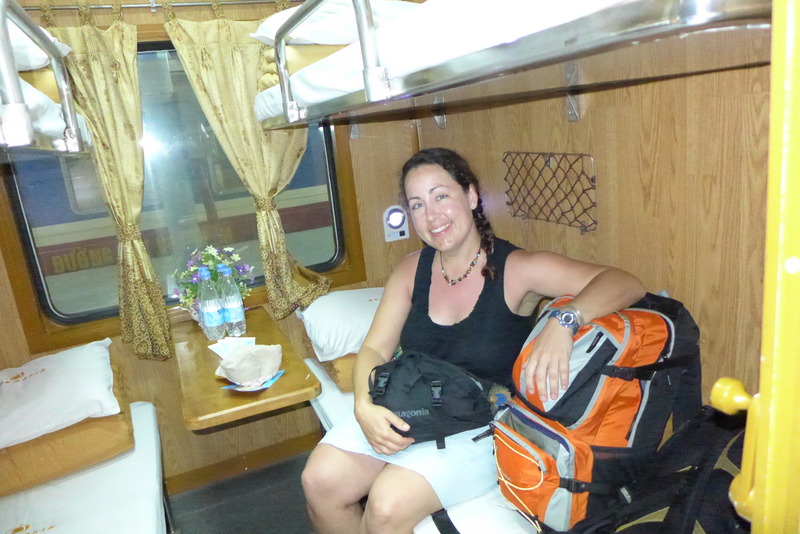 Mostly, we got ready to head out to Ha Long Bay the next day. 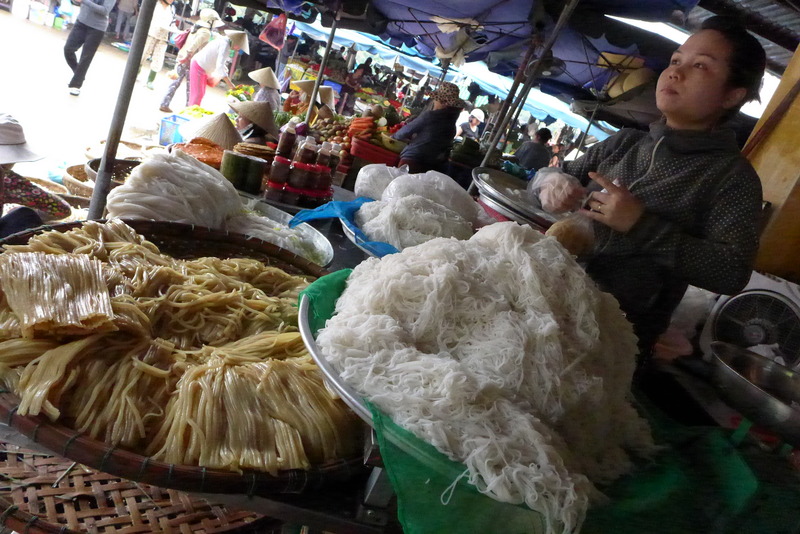 We had spent 1/2 a day in Hué, price-shopping and found DuGong Cruises: $150 for 3 days in Ha Long Bay, meals and transportation from Hanoi. I can’t wait for you to read all about that trip! 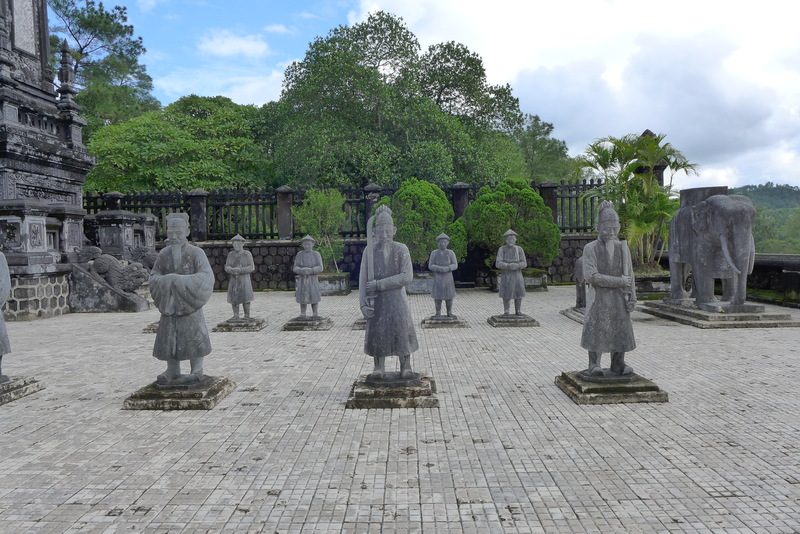 Hue was the ancient capital of Vietnam and 7 of the Nguyen emperors are buried near the city. 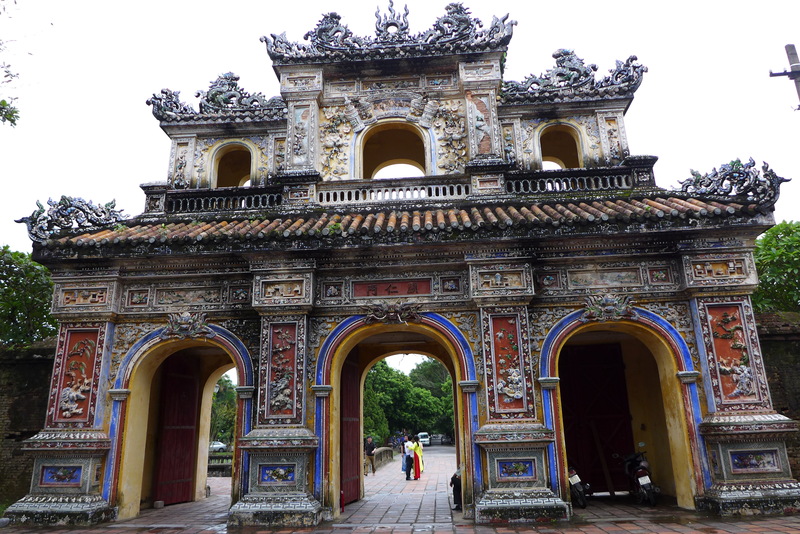 We visited the ‘Forbidden City’, 3 tombs and Thien Mu Pagoda. 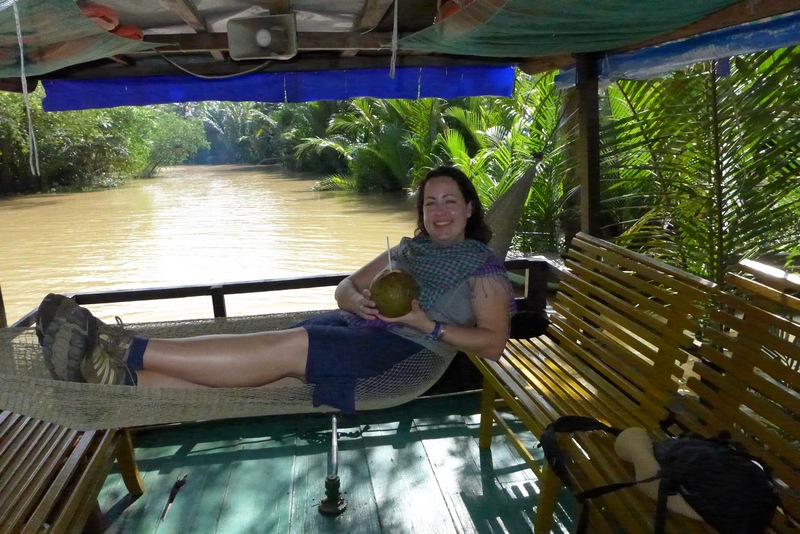 Then, we ride back to Hue on a Dragon boat along the Perfume river. 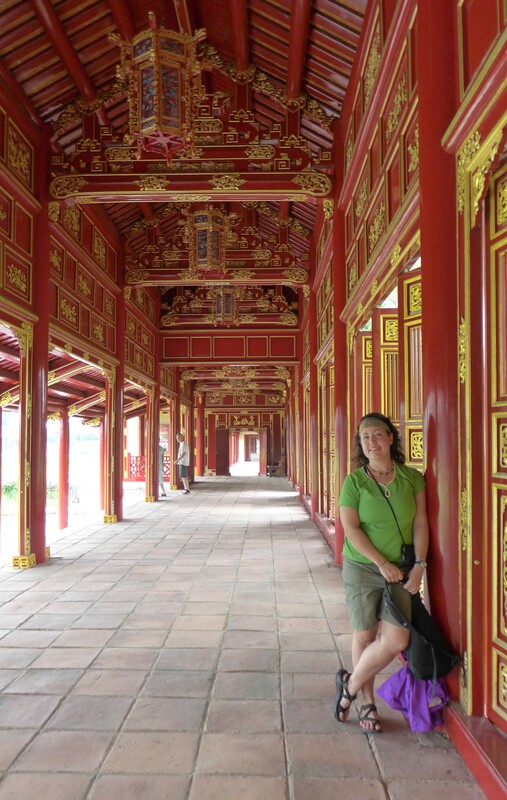 I definitely could have used more than the hour we were given to explore the ‘Forbidden City’. The Citadel was off limits to anyone but the Royals. 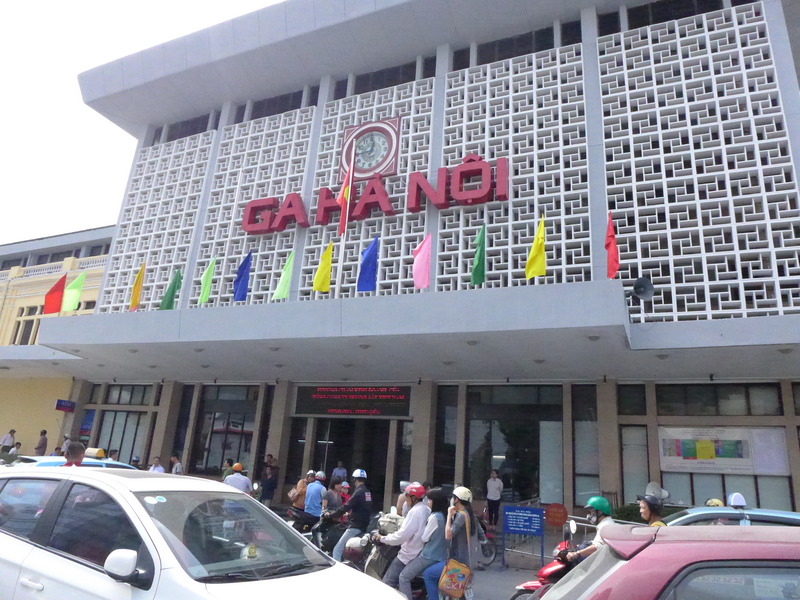 My favorite part was the museum with enlarged photos of the lives of the emperors and their elaborate lives. This was such a relaxing spot that I wished I had a good book, a few hours and a picnic! 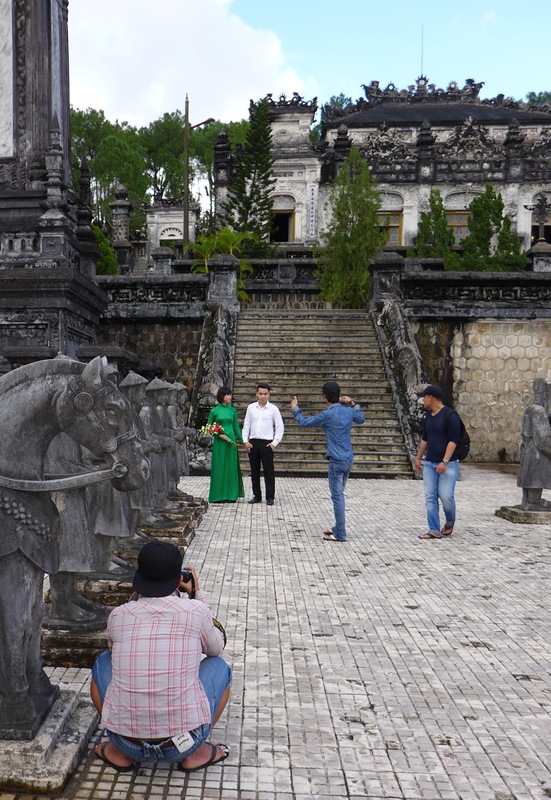 Emperor Minh Mang searched for this site for 5 years and then had the grounds landscaped to add perfectly Feng Shui’d hills. From the air, the layout of the site resembles a human form with Minh Mang’s tomb in the head. 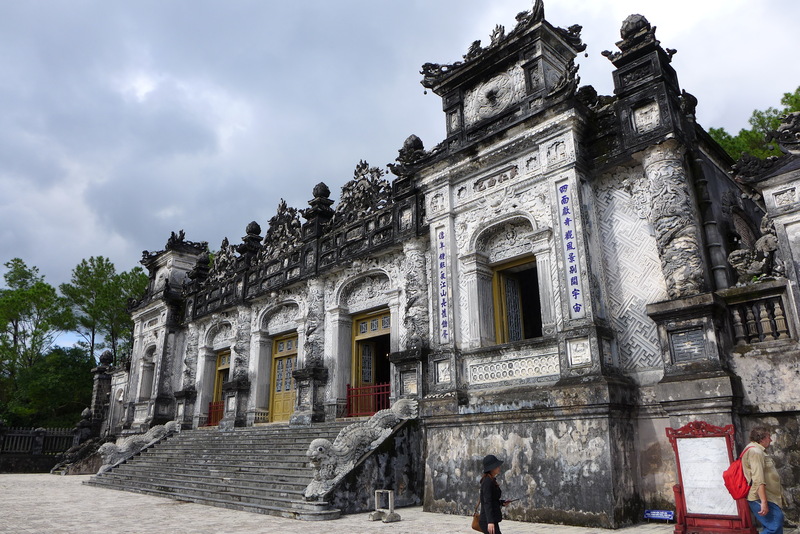 Imperial Tomb of Tu Duc: By this time of the day, I was getting hot and poor, so I skipped this one to drink fresh coconut water in a hammock. I hear this site is full of lakes and lovely stonework. 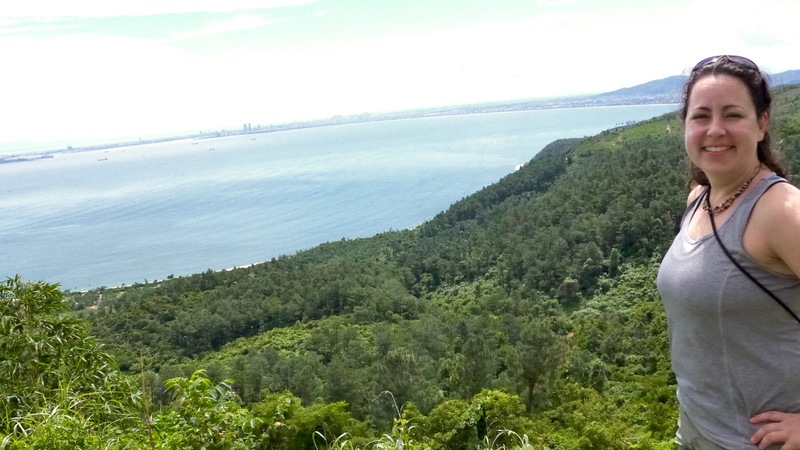 The view from Khai Dinh was so lush, it reminded me of the Slovakian countryside. There were a LOT of stairs to get up to see this view. This is the first set. 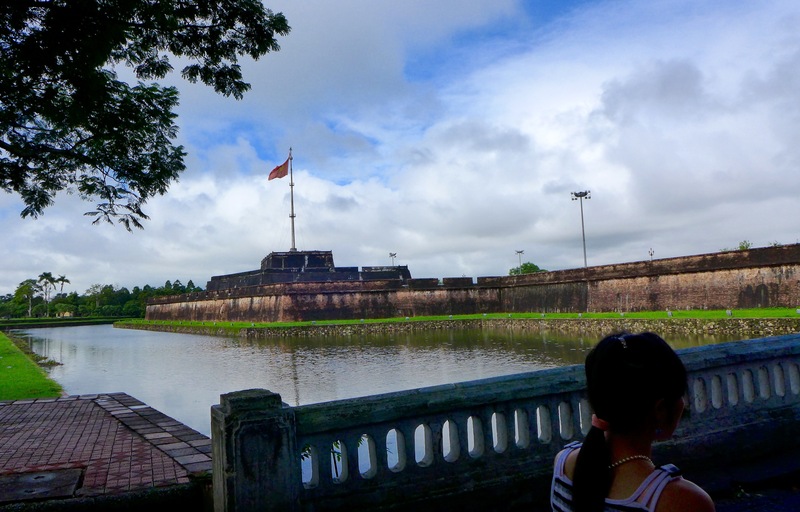 Khai Dinh tomb took 11 years (1920-1931) to build and is the tomb of the final emperor. 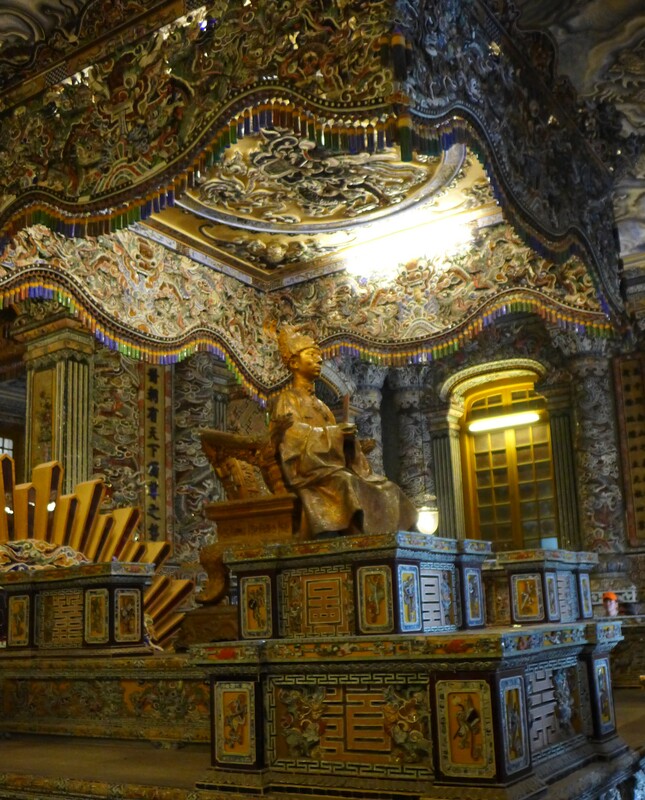 The sarcophagus of Emperor is covered with mosaics and the ceiling is painted with dragons. There were many couples taking their engagement photos here. 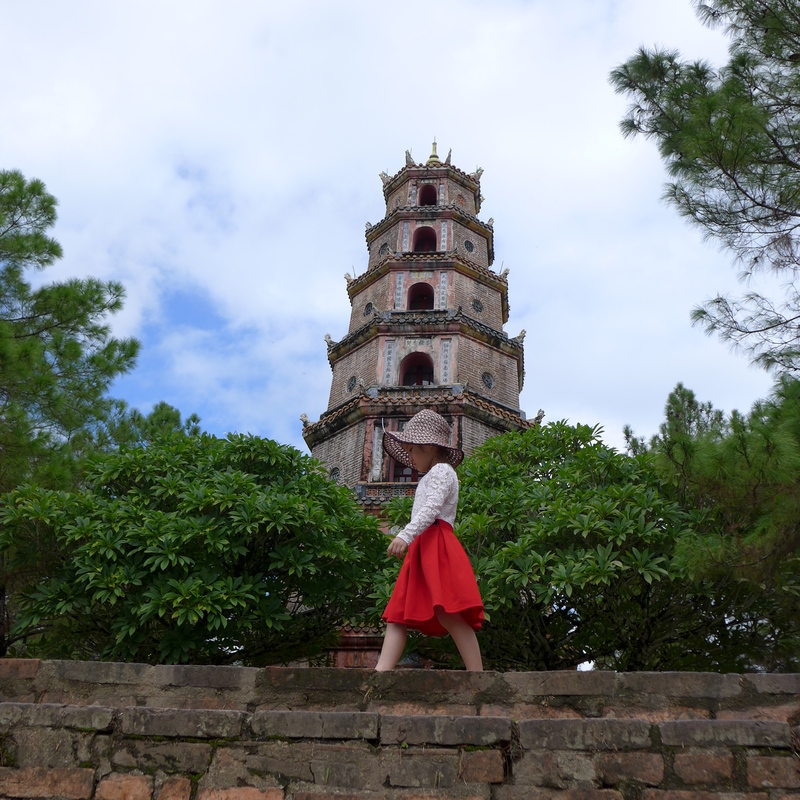 The ‘Heavenly Lady Pagoda’ is a lovely tower along the Perfume River. 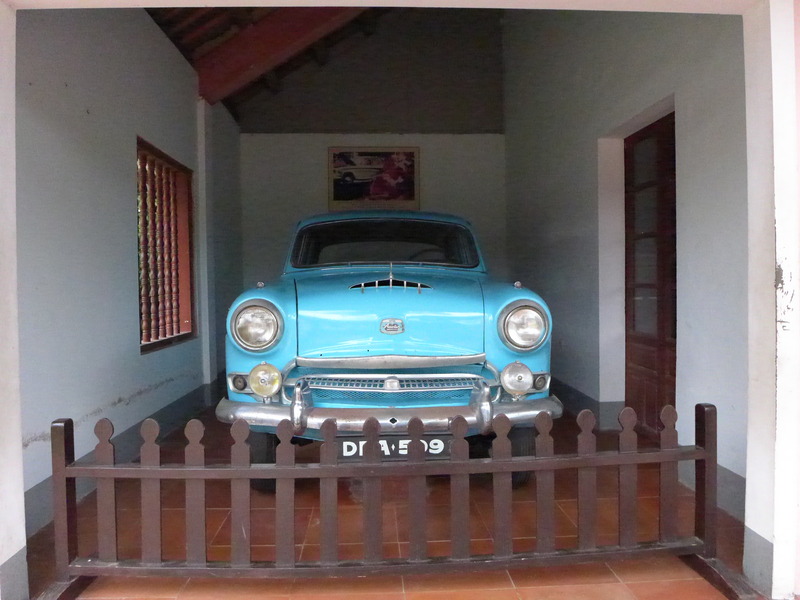 This site also houses a national relic: the car in which the monk Thich Quang Duc rode from his temple to Saigon on June 11, 1963. He stepped out of the car in an intersection, sat down in the lotus position, and burned himself to death in protest against the regime’s violations of religious freedom. 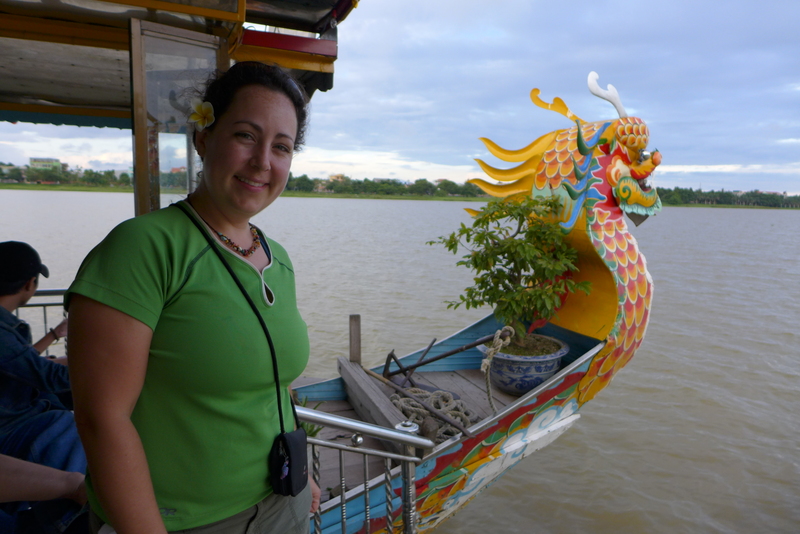 After exploring the sites, we headed back to Hue on a Dragon boat. It was a great day! 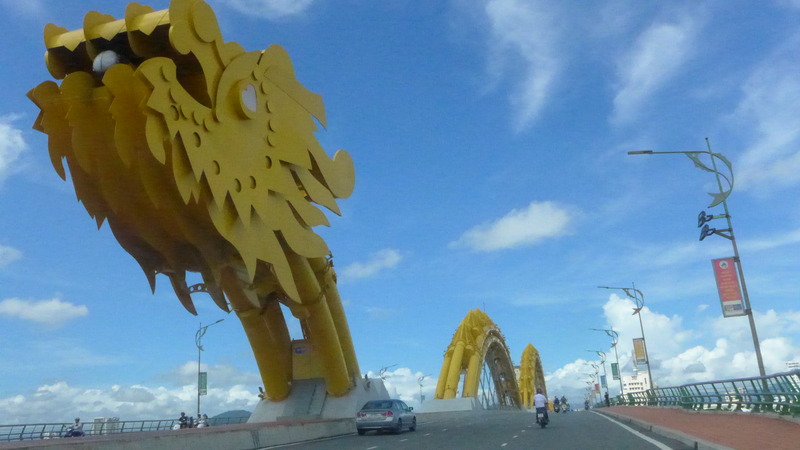 The Dragon Bridge in DaNang lights up, shoots FIREBALLS and streams of water, but we didn’t see any of that. Still a rad bridge. Built in 2013 to mark the 38th anniv. 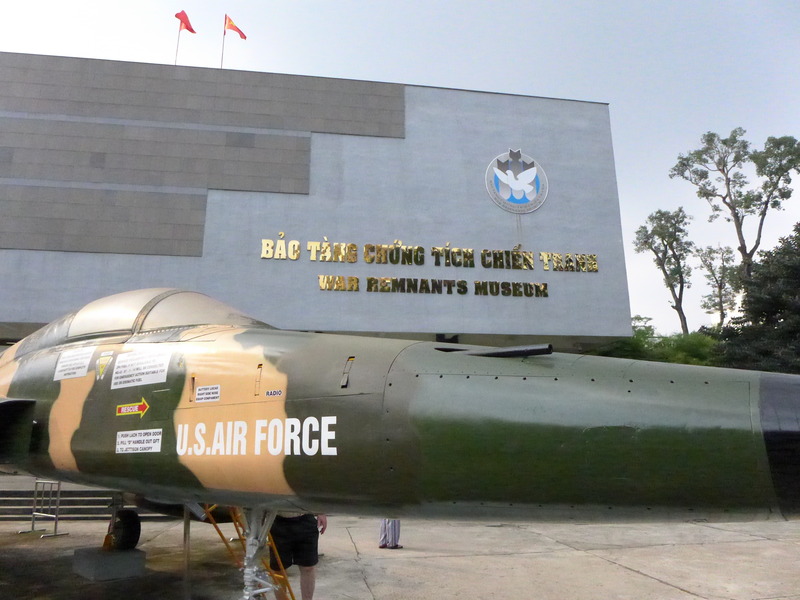 of taking back the DaNang port at the end of the Vietnam War. 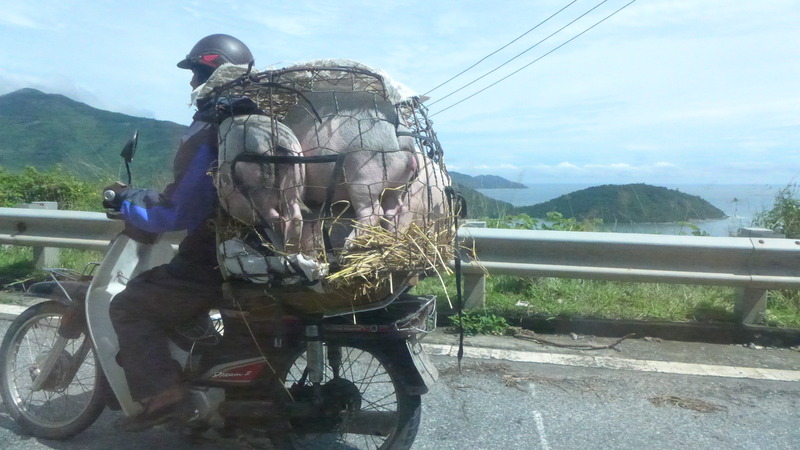 We passed this moto full of piggies FIVE times! Every time we’d stop for photos, he’d get ahead of us! 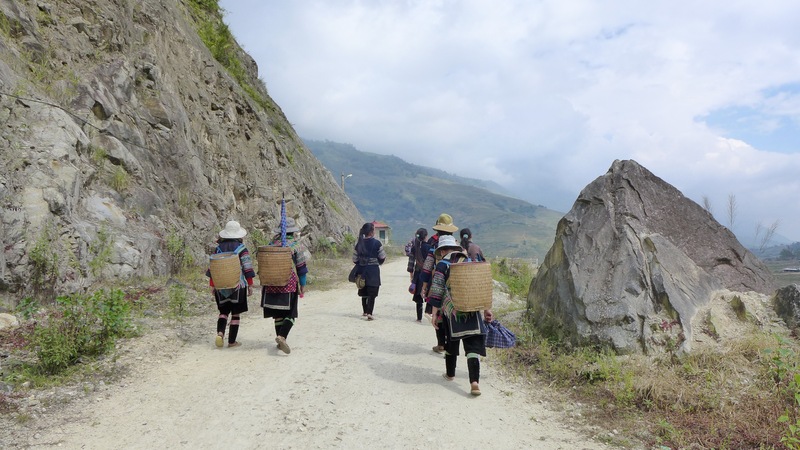 The road was treacherously twisted and around any/every corner there would be some sort of obstacle… a slow/broken vehicle, a cow or a herd of goats. I don’t think I could have handled 3 hours of this on a moto. Finally, we started the decent and ended up at this gorgeous vista. 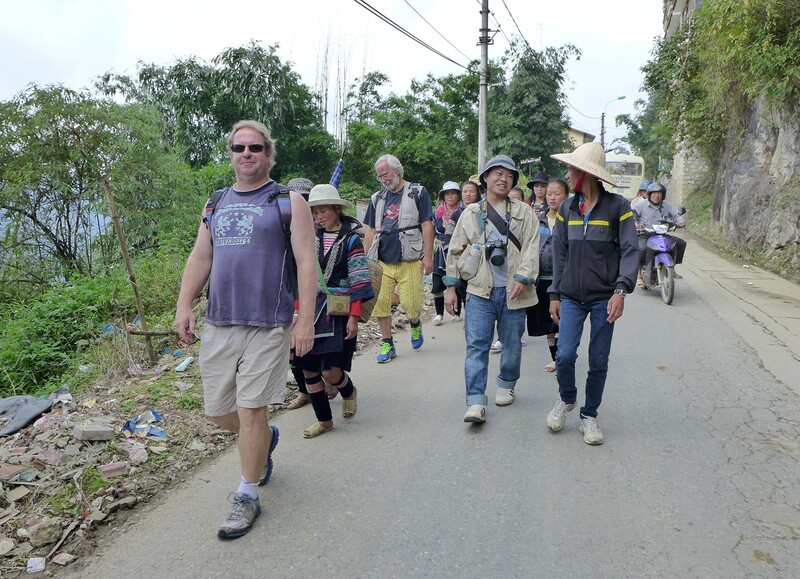 Passing through the quaint village of Lang Co takes but a minute, and then you’re on a fairly flat and well maintained ‘high-way’. 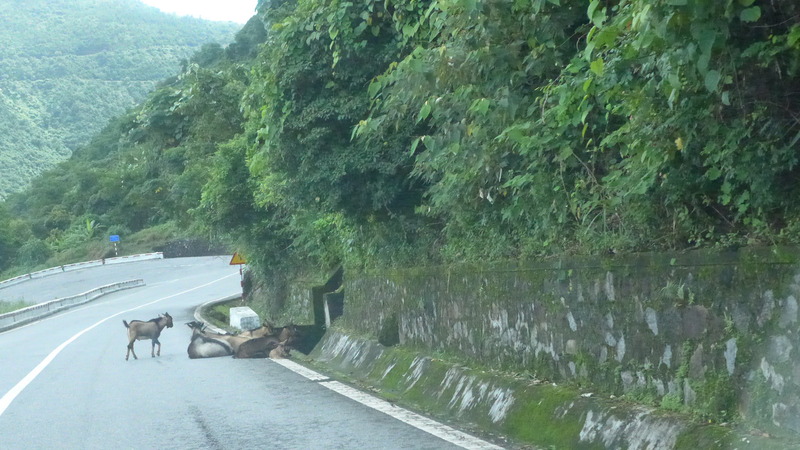 There have been road improvements that widened the road. There were houses that needed to be torn down to make way for ‘progress’ but the occupants were not offered enough money to relocate so many stayed in protest. And this is what happened. 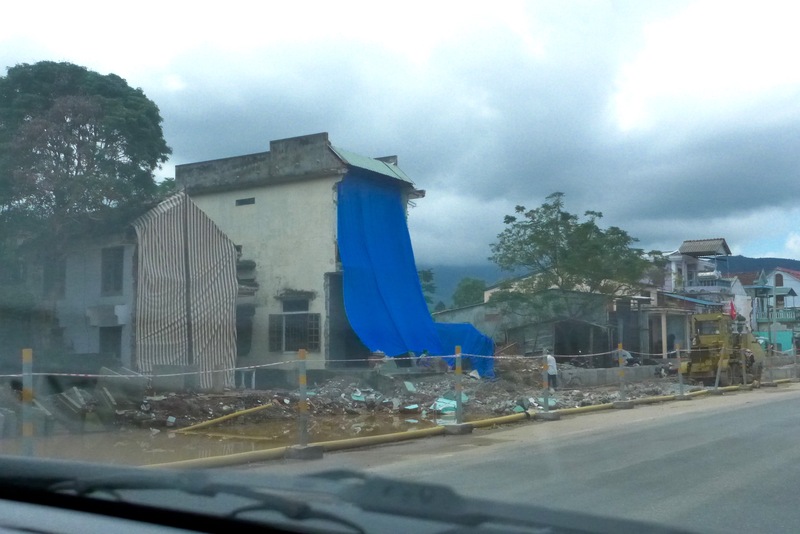 They tore off the sides of the houses! 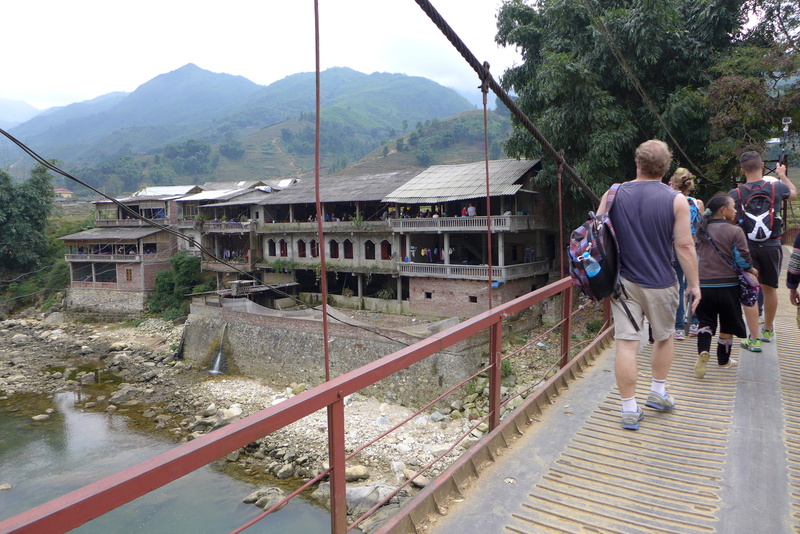 We saw MANY houses like these, along this stretch of road. They had gaping holes without windows or doors and families were coming in and out of those houses… because they still live there. 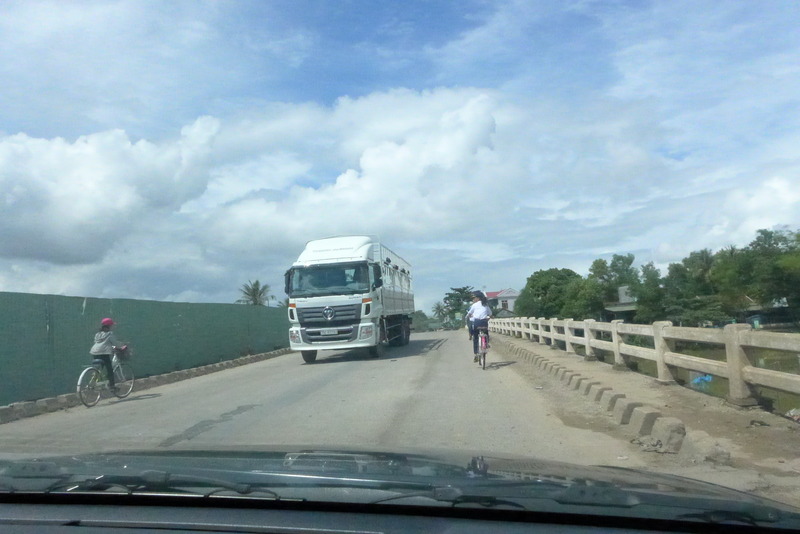 Widen the road to make way for trucks! 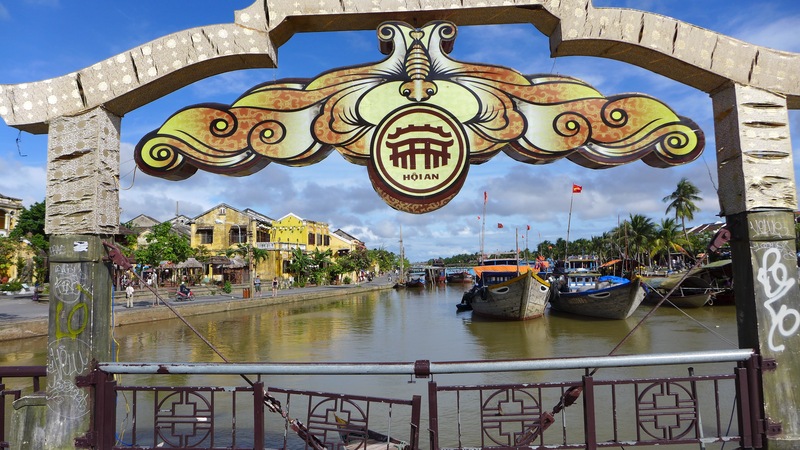 Our voyage ended in Hue, where we were dropped off at the LOVELY Hong Thien Hotel 1 (NOT 2!) that we’d booked on Agoda.com for a pittance. There was a POOL and the staff was very lovely. 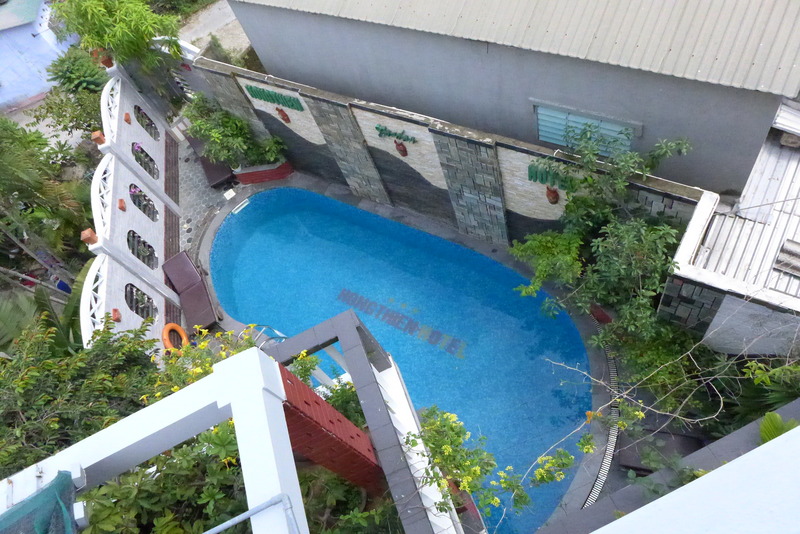 Check out the view from our balcony! 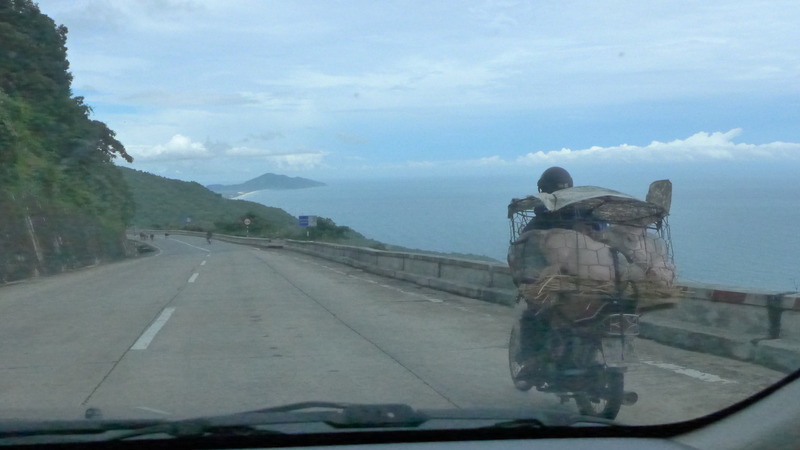 The journey over Hai Van Pass has been made ‘famous’ by the wacky British TV show, Top Gear. You can watch them cross the pass starting at minute 3:15. Here is the outline of my epic journey. I’ve left room for plenty of detours. Oh, how I love when a plan starts to come together! Unemployment has given me adequate time to do some in-depth research. 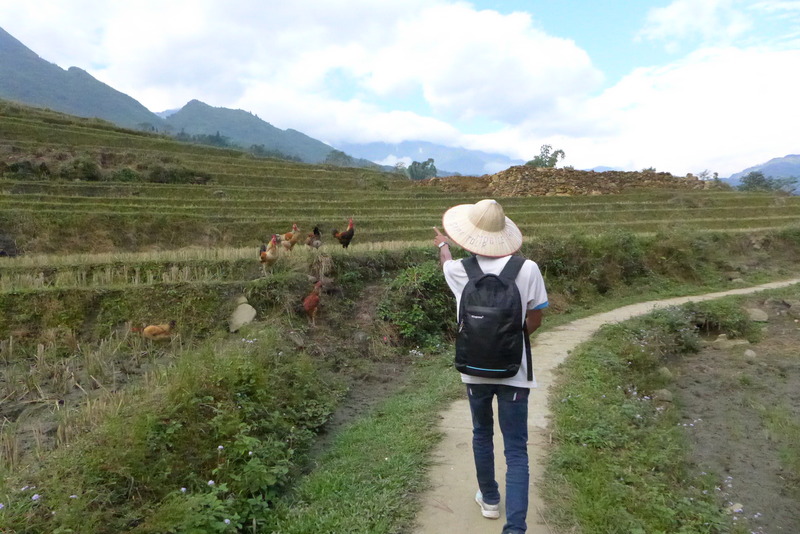 I’ve been pouring over TripAdvisor forums, loads of blogs and good ol’ travel guides for weeks now and here’s what I’ve come up with so far. 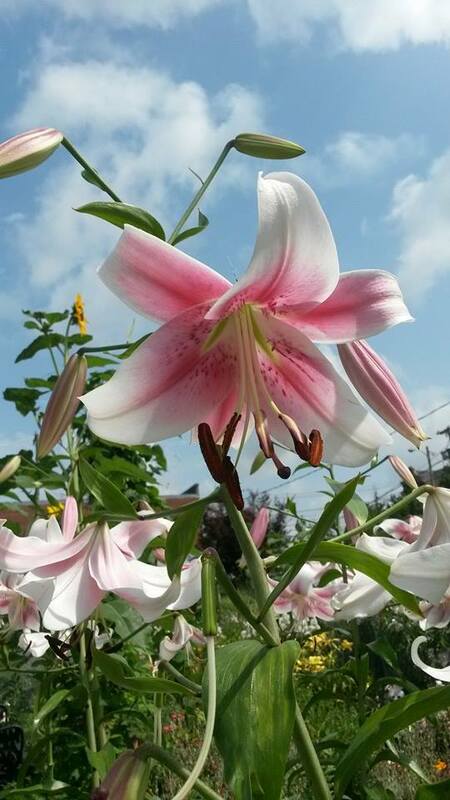 I’ll be flying into the Narita airport, north of Tokyo and connecting with a YMCA Camp Jeweller, Matt Allan, who is stationed in Yokosuka with the US Navy. I plan on hopping the bullet train to Mt. Fuji Nat’l Park and contenting on to Kyoto and Osaka. I’m only there 6 days but I intend to live it up! Next up, I’ll fly in to Bangkok (the star in the map below) from Tokyo and then start traveling counter-clockwise and then head down the peninsula to Singapore! 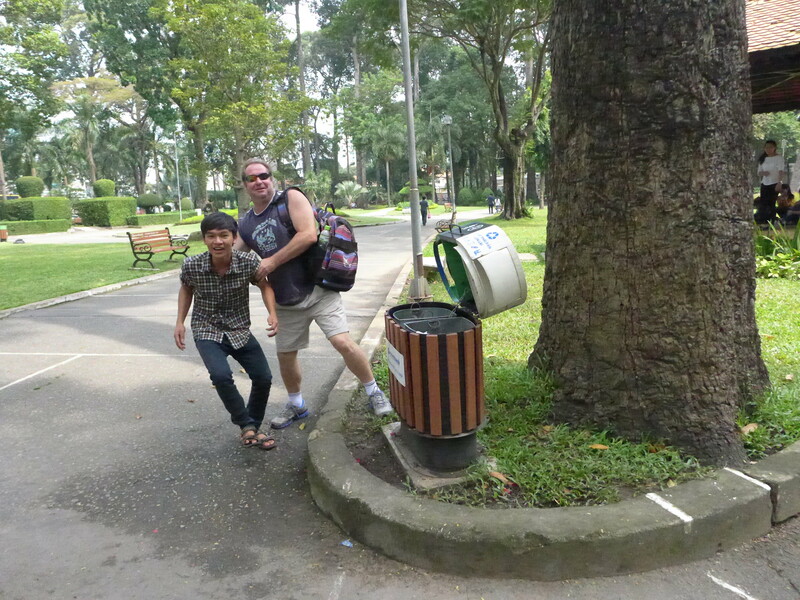 In Bangkok, I’ll be met by Bryan- a friend I met through a St. Michael’s connection who works for the US Government. Bryan transferred to the Bangkok branch on August 8th and since he’s new in town, he’s going to be the perfect sightseeing buddy! After a few days of eating amazing Thai food and wandering through markets & temples, I’ll fly out of Bangkok and into Cambodia. 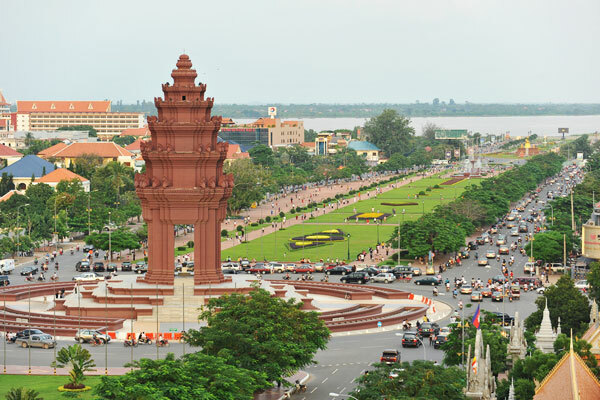 I’ll enter the country at Siem Reap, a town made famous by the temples at Angkor Wat. I’ll buy a 3 day pass in order to take my time & escape the heat when I need to. 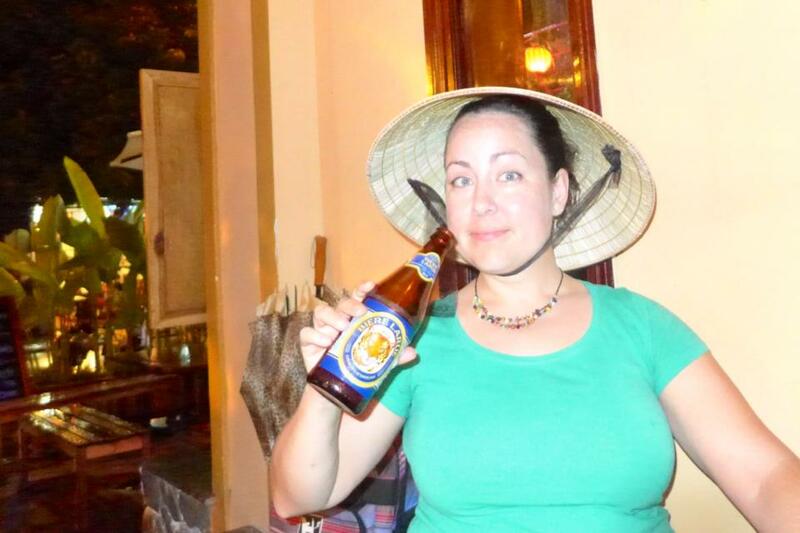 Then, I head down to Phnom Penh (PP) to meet up with Meaghan T. (a 20 yr + friend from Camp Gordonwood)! I am a lucky girl ~ Meaghan is letting m come to her school for a day! Troy & I will arrive in Yangon for the Festival of Lights! 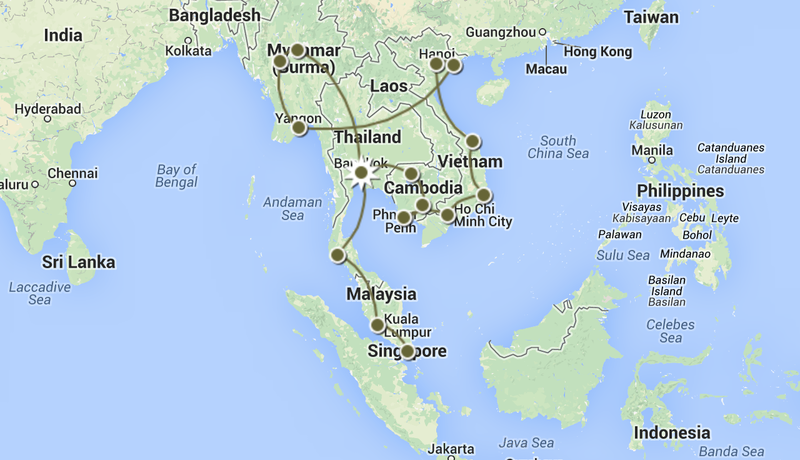 Then, we’ll travel to Bagan, Inle Lake and fly out of Mandalay at the end of the 2 weeks. 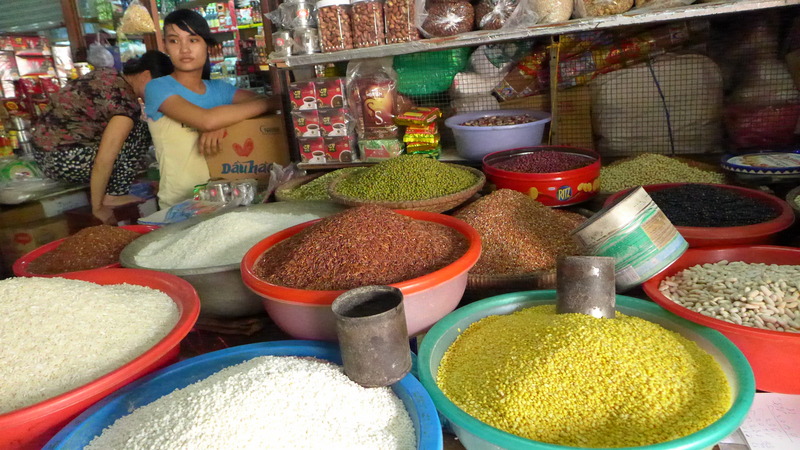 For more photos of Myanmar, check out this book by Scott Stulberg. 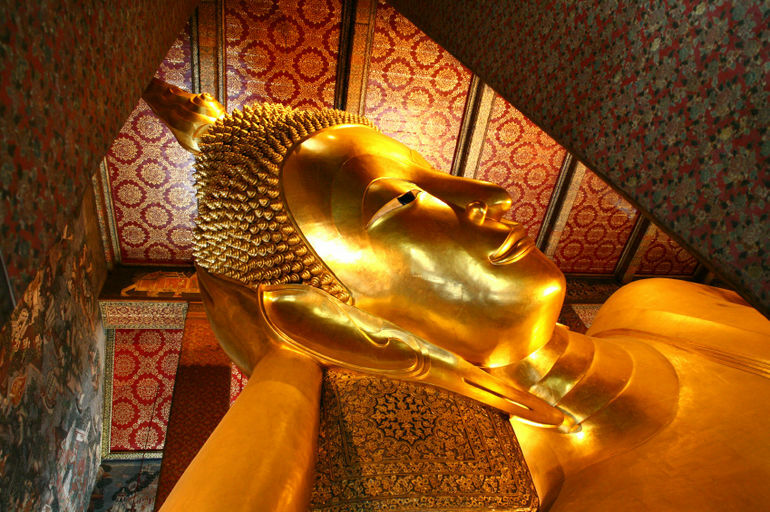 There will be another few days in Bangkok as Troy flies home and Laura Johnson flies in from Nashville! 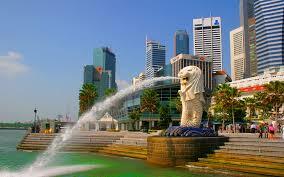 In Malaysia, Laura and I plan to laze around on tropical beaches, wind our way through Kuala Lumpur and end up in the sovereign city-state of Singapore! 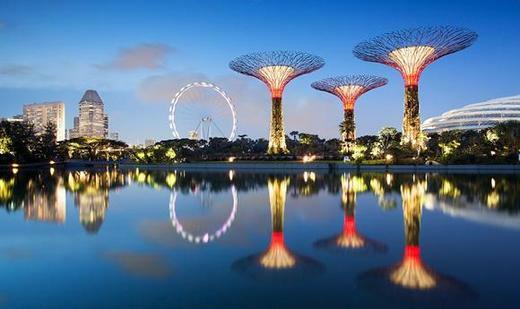 I won’t arrive in Singapore until December, so it I haven’t made many plans. It’s a big city (and it’s own country!) so I hoping to meet up with fellow Masonite Heather Klepper Roddocker while I’m in town. 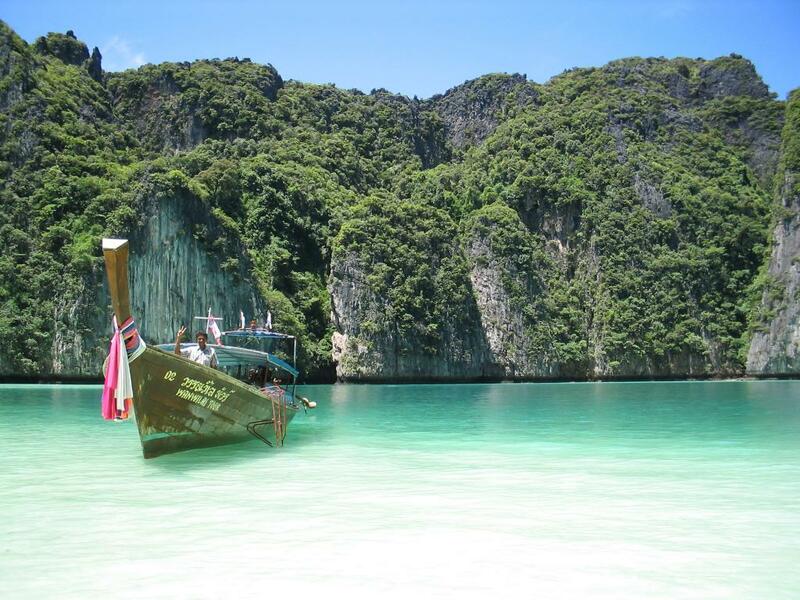 This is the last stop in my travel adventure… I’m already feeling nostalgic. 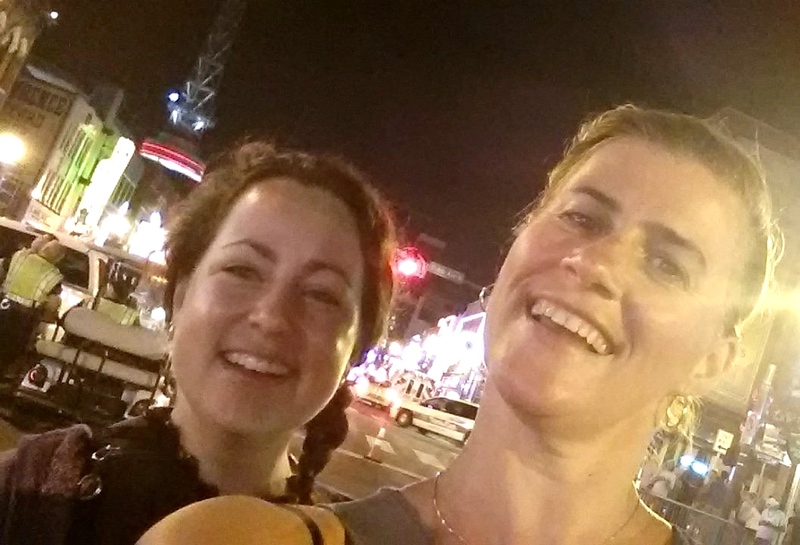 The wonderful and well-traveled Natasja came to Nashville to stay with me for the first week of July 2014. 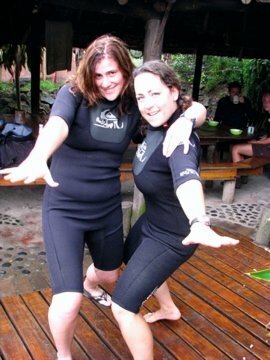 Natasja and I met in S. Africa in 2008, we hit it off so we adjusted our travels to scuba and surf together. In September 2013, Mom, Dad & I spent 3 days with her in Prague! 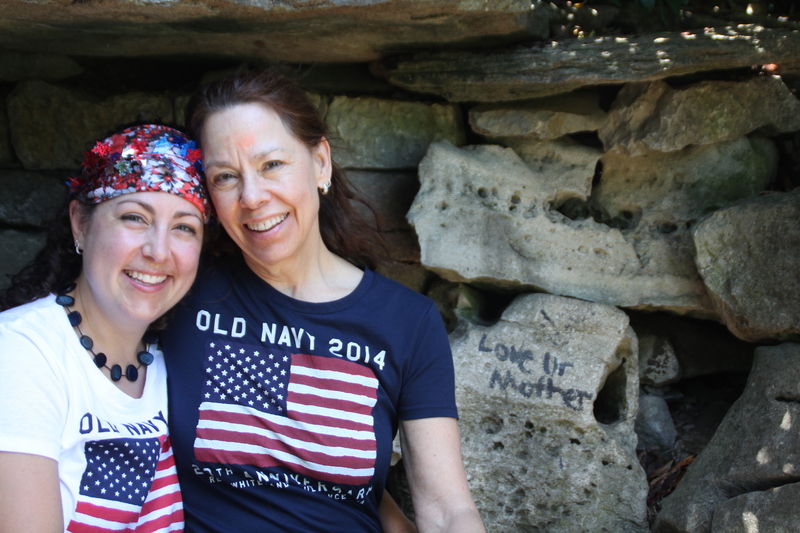 She came to Nashville via New York, where she had spent 4 weeks at a yoga farm in Woodstock, learning how to teach Sivanada yoga. I went to pick her up at the airport on Sunday night and Monday we had breakfast at Sky Blue Cafe. Across the street there was an adorable house with a white picket fence and an insane amount of flowers! Then we hit up Kroger and headed out to Opry Mills Mall. 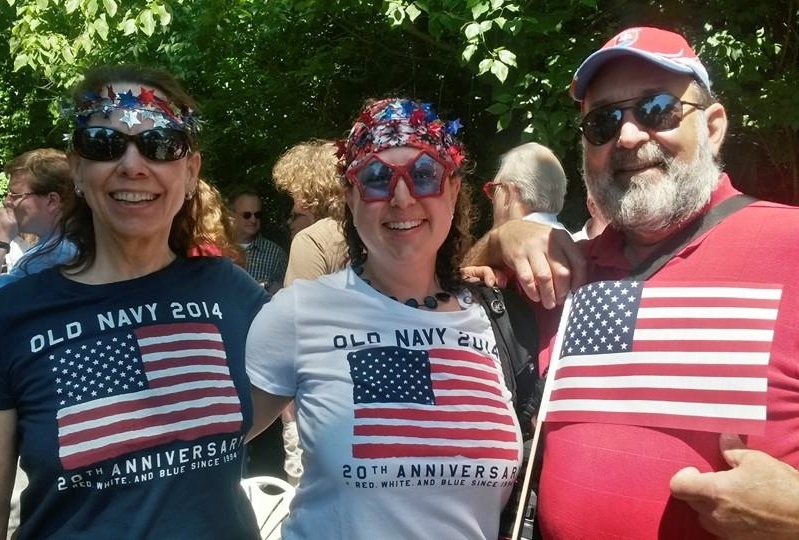 We bought $15 Gap jeans, shoes and matching $3 patriotic Flag shirts. 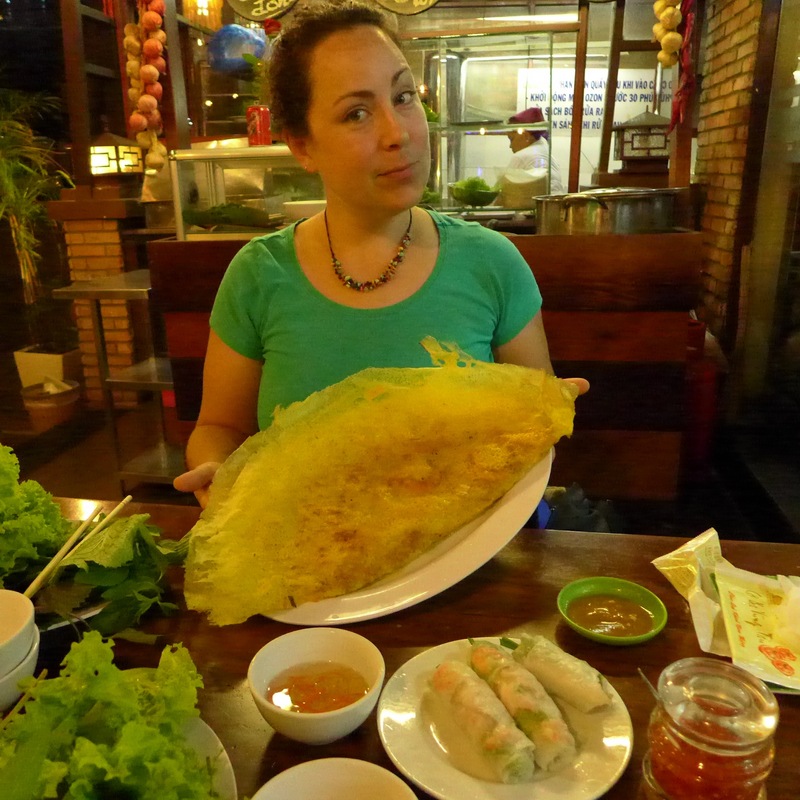 That night we tried to eat at the vegetarian restaurant, Wild Cow, but got there just before they closed. We went across the street to Rosepepper and Natasja got a vegan burrito and was super happy. 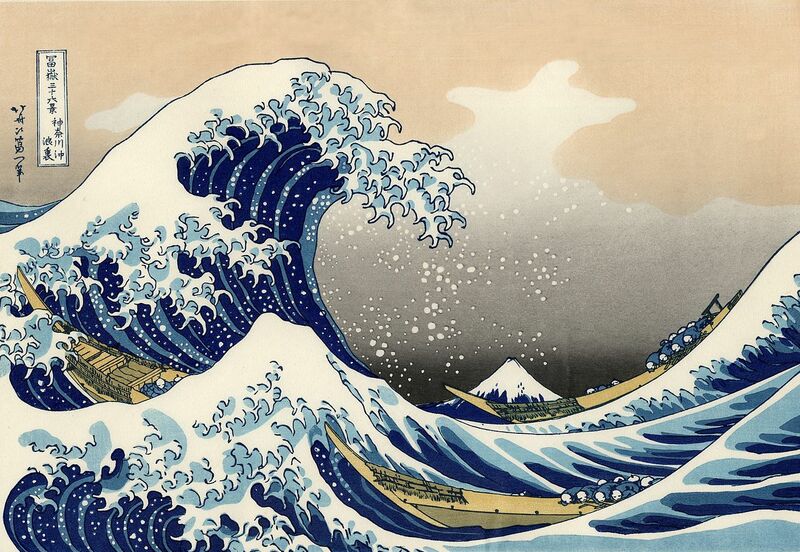 July 1st: (Happy Birthday Jessie!) Today we went to a little boutique called, OMG with 300 lbs of gold glitter lacquered into their floor. 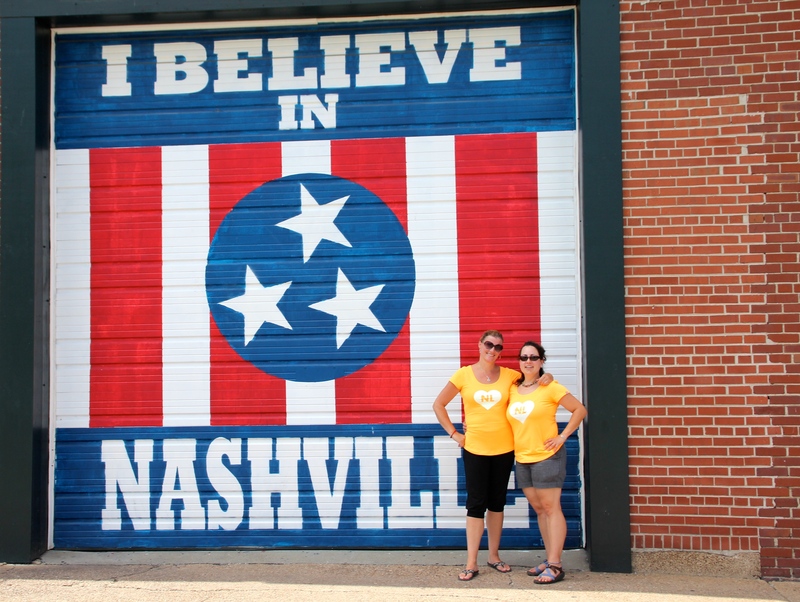 Then we mailed Jessie’s birthday package and headed down to Hillsboro Village. We went to Pangea and bought cat postcards and to BookManBookWoman and bought nothing. At 4pm we saw our first movie at the Belcourt! It opened in 1925 to show silent movies, then was briefly the home of the Grand Ole Opry! Afterwards, we head to Wild Cow again… and it was closed on Tuesday. Pfft. Calypso Cafe was a great replacement! July 2nd: THE BEST DAY EVER! 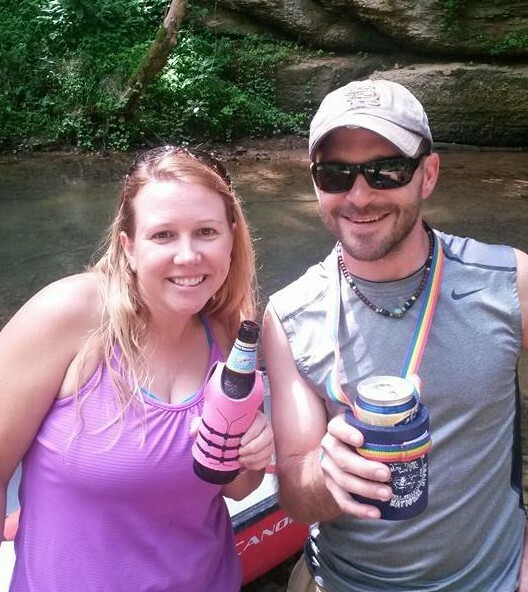 We canoed the Piney with Paul and Laura! N & I stopped at Mitchell’s Deli and bought everyone a yummy sandwich. (They were as delicious as Zingerman’s but half the price!) Then we picked up Laura and Paul and headed East. It’s still amazes me that 45 minutes outside of Nashville, everything is all backwoods and pick-up trucks. 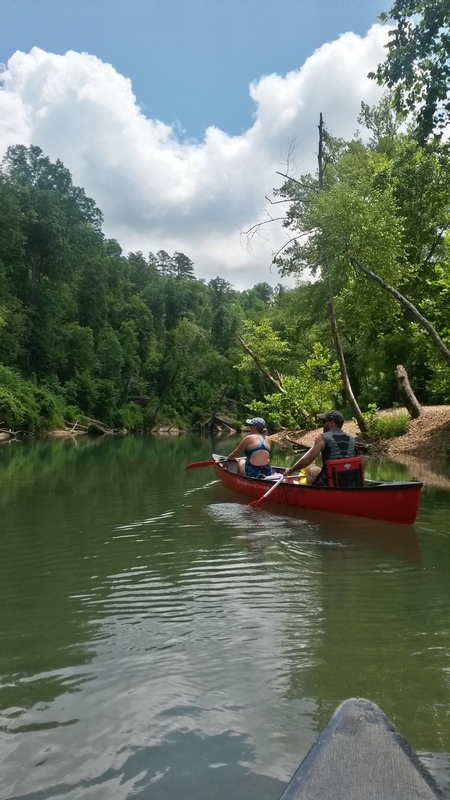 Our canoe outfitters were great: Pinewood Camp & Canoe. 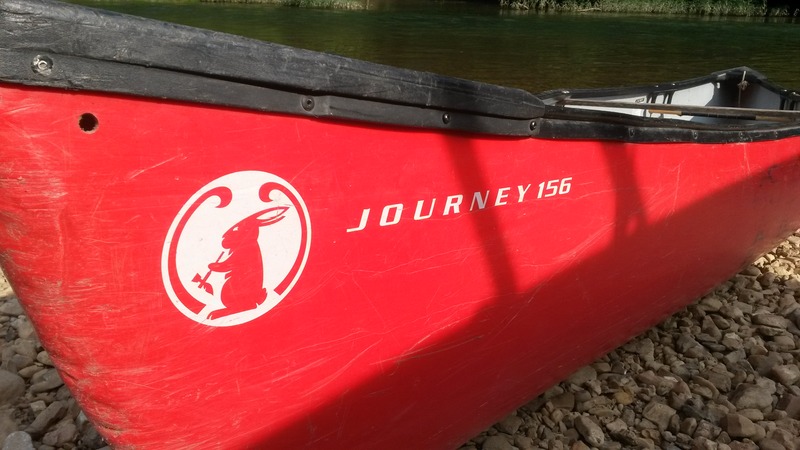 The gave us this cool canoe with a toking rabbit. 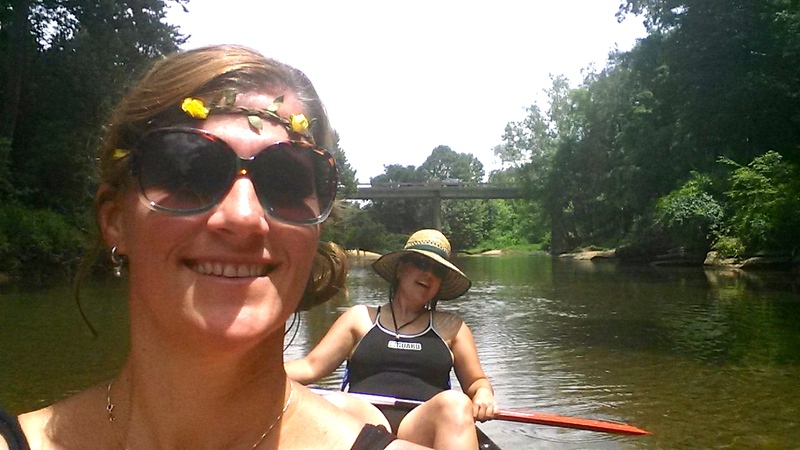 It was a perfect paddle: quiet river, all to ourselves. A green heron followed us along the river. It was 83 degrees and we stopped to swim. Ahhhhhh. 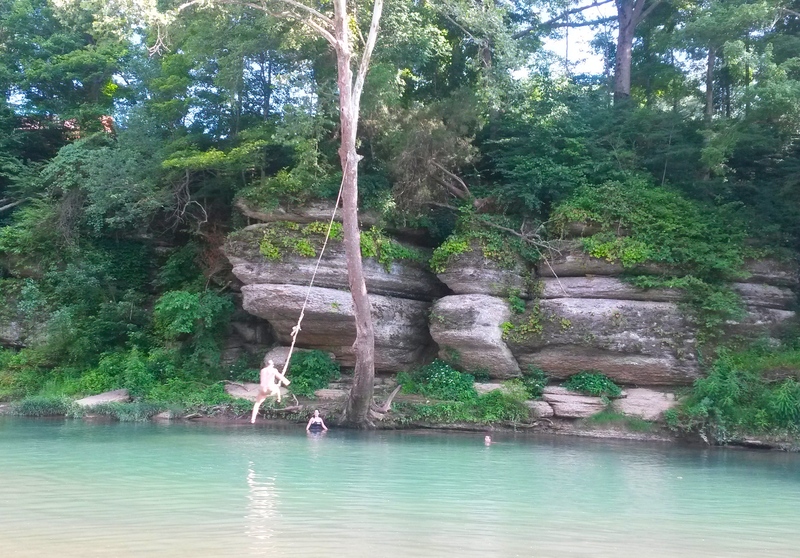 We had gotten dropped off and paddled back to camp- when we got there we found a rope swing! Paul and I went off of it 4 times. Super fun! 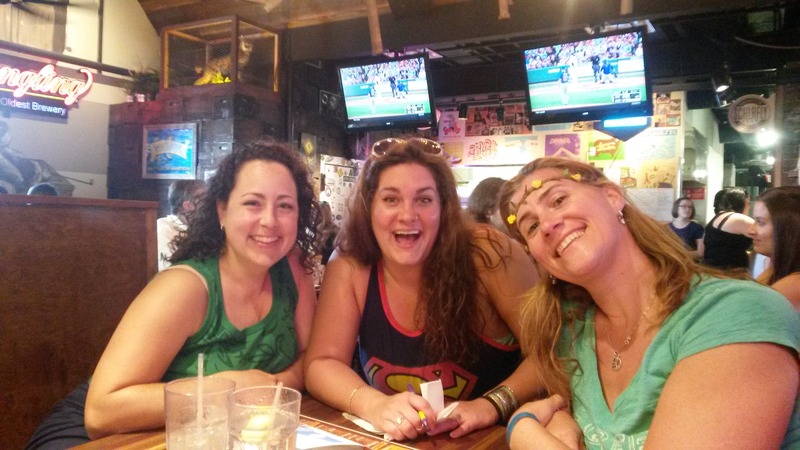 We stopped at M.L.Rose for veggie burgers (& 2 for 1 beers!) 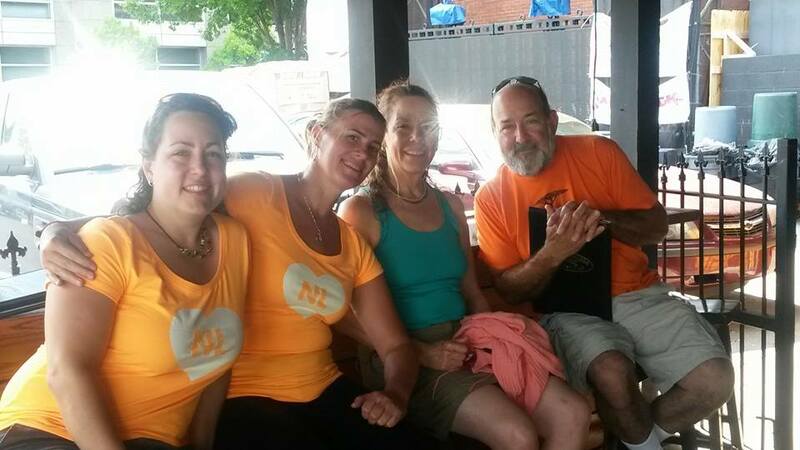 after our paddle and met this awesome person: our waitress, Meridyth! 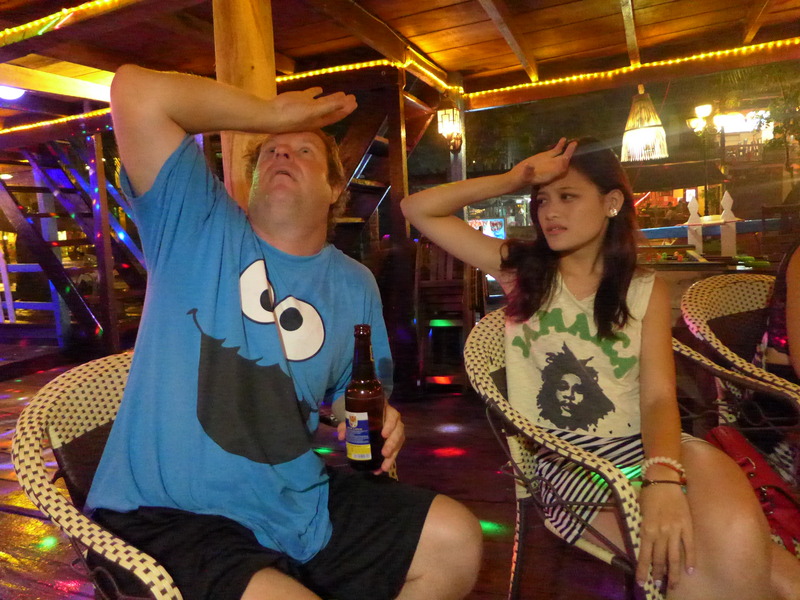 She spent 3 months in Cambodia and was hilarious. Obviously, we’re buds now. Since none of us wanted this super day to end, we walked Paul’s dog, Neepa and got shakes at Bobby’s. It was 10pm before we headed home. Best Tuesday on record. 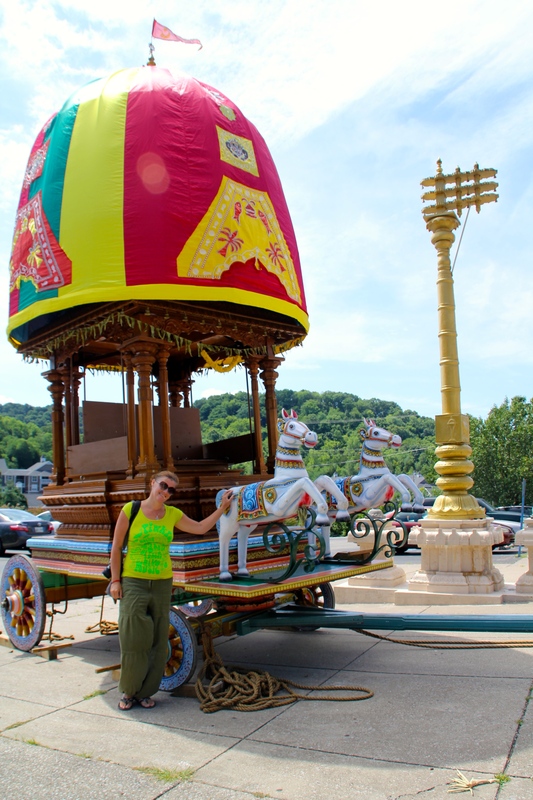 July 3rd: We made oatmeal & headed out to Sri Ganesha- a Hindu temple that I drive by on my way to work. We arrived while the priests were doing a ceremony. 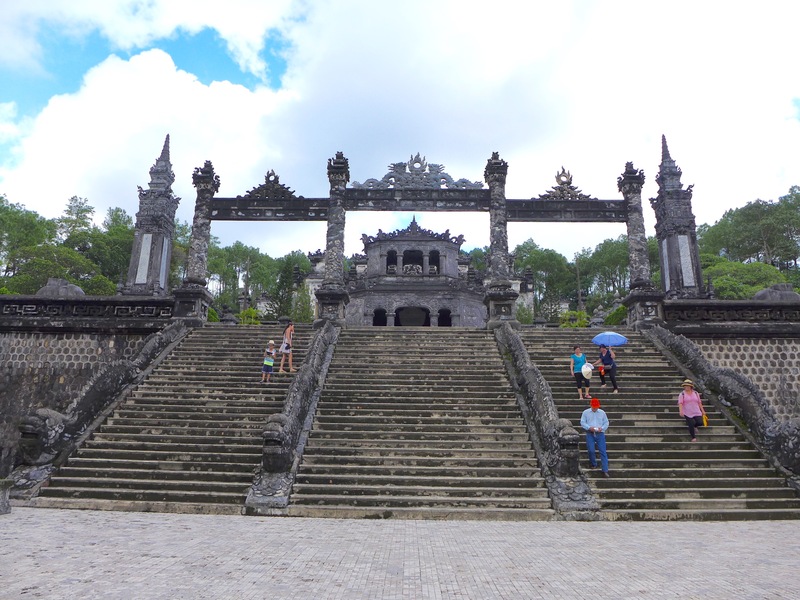 We took our shoes off, entered the temple and inside there was a giant room with many small shrines to Hindu gods along the wall. 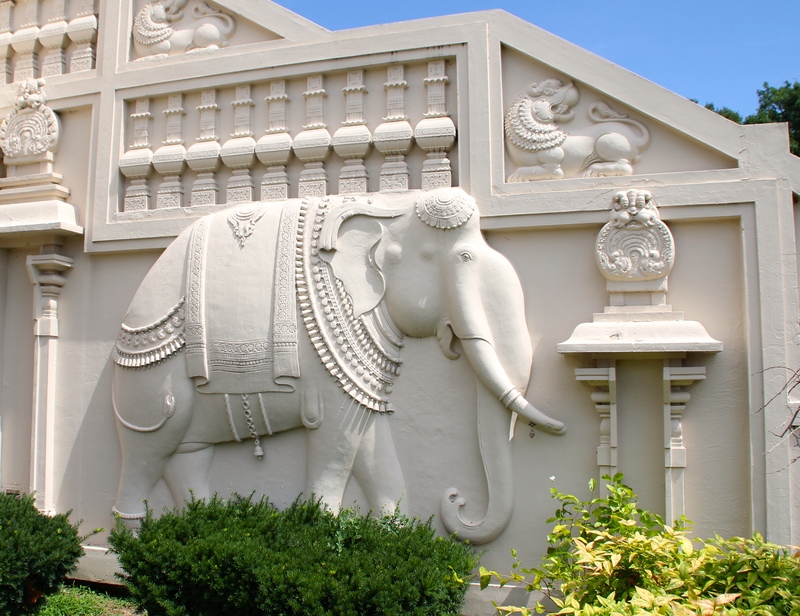 In the center, there was a 10×20 room with a giant statues of Ganesha. The priests chanted as they made offerings of fruit to the elephant-headed god. 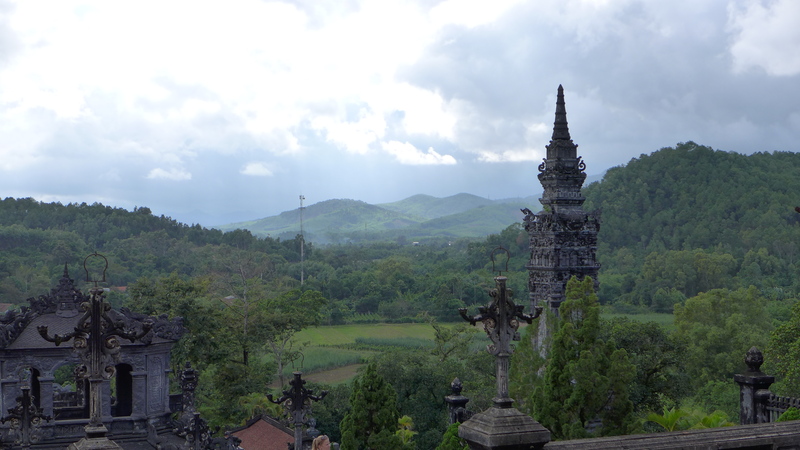 They rang bells for a long time and wafted incense over the offerings. When the short ceremony was over, they passed the plate around and brought you back fruit from the altar commensurate with your donation. Natasja and I each got a banana. There were ladies sitting on the floor, threading fresh flowers into leis to purchase for the statues in the shrines. There were little kids running around and fliers for senior’s activities. 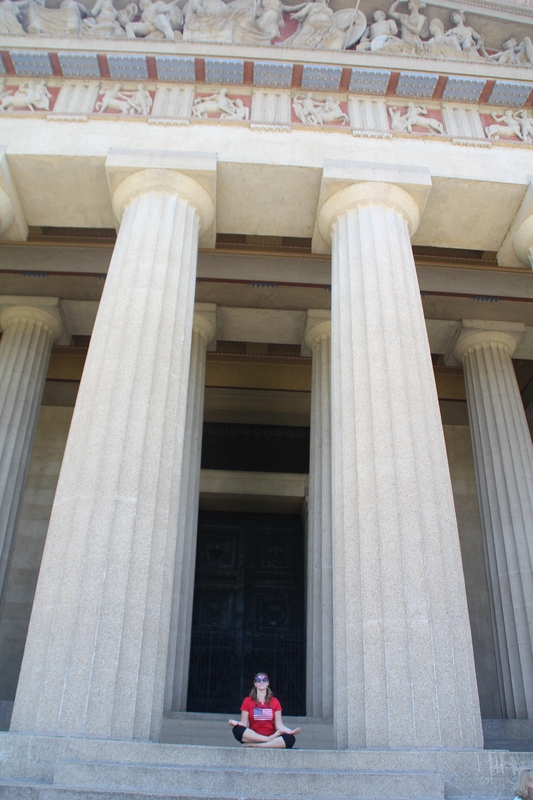 The temple had a very family-oriented vibe, like church. We thanked them and headed off. Next, we headed to Warner Parks so Natasja could see where I had been spending the summer. We met the lovely ladies at the Nature Center, prepped some crafts at the Field Station and walked around a bit. 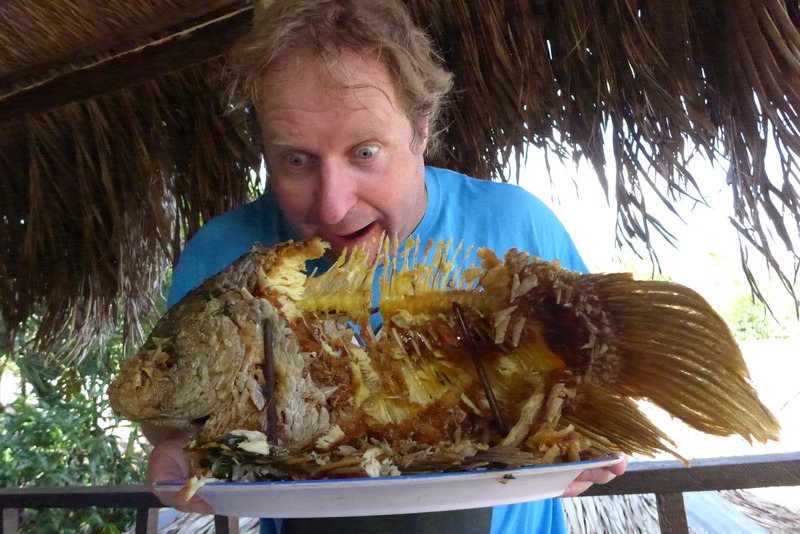 Then it was time to find dinner! 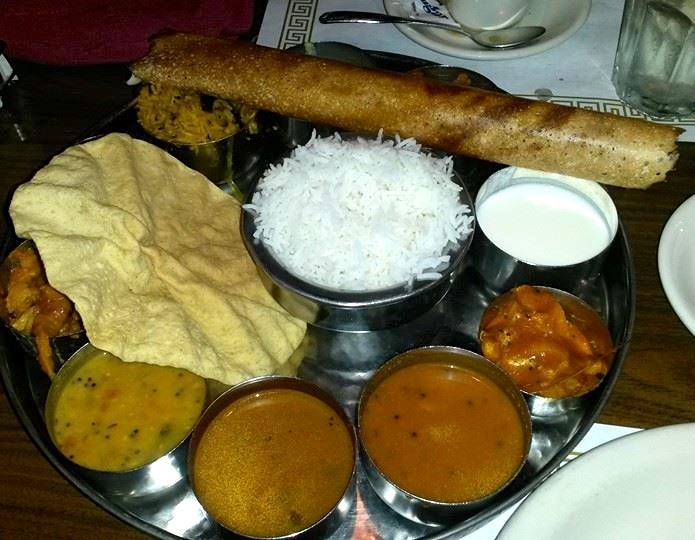 Paul had a fantastic vegetarian suggestion, Woodlands Indian Restaurant! Natasja was thrilled that Woodlands was all vegetarians, since it’s pretty hard to tell if ‘stews’ contain meat until it’s too late. We shared Thali- Chai tea & rice pudding. 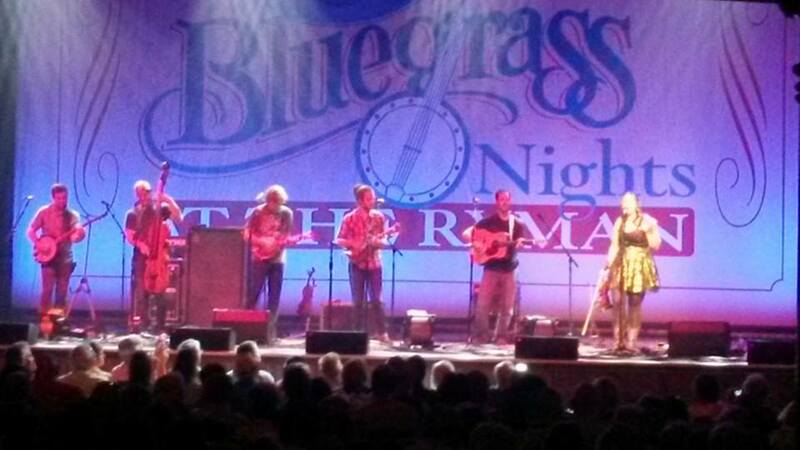 Then we raced off to the Ryman for one of the Bluegrass nights: Yonder Mountain String Band! They had 2 special guests: Sam Bush and Alli Krall. Alli sang ‘Jolene’ by Dolly Parton and RAGED on the fiddle. I wanted her to play Dolly’s songs all night. Yonder was great but they were prone to long ‘solos’ for each player… during EVERY SONG. Natasja discovered that she’s not really into ‘jam bands’. While we were listening to Yonder at the Mother Church of Bluegrass, MOM & DAD arrived and made themselves at home. 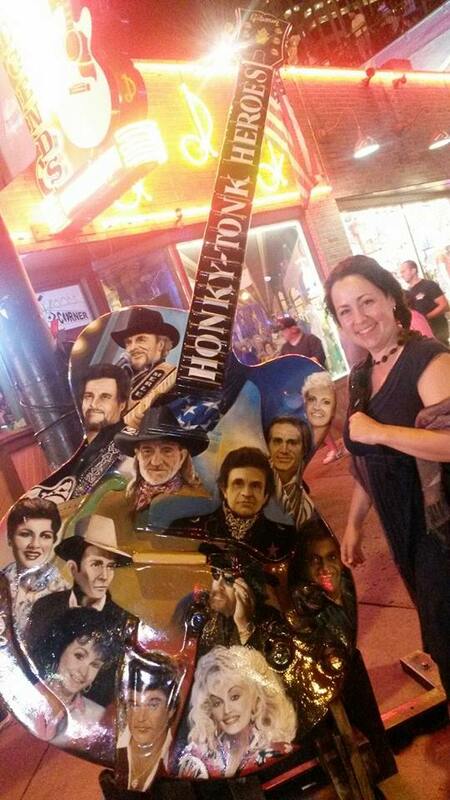 We cruised Honky Tonk row after the show, so they were asleep by the time we got home. You may notice the police officers in the background… Natasja was entertained by their golf carts. They must have been bored, later they were shining their flashlights on Natasja & giggling when I took her photo. 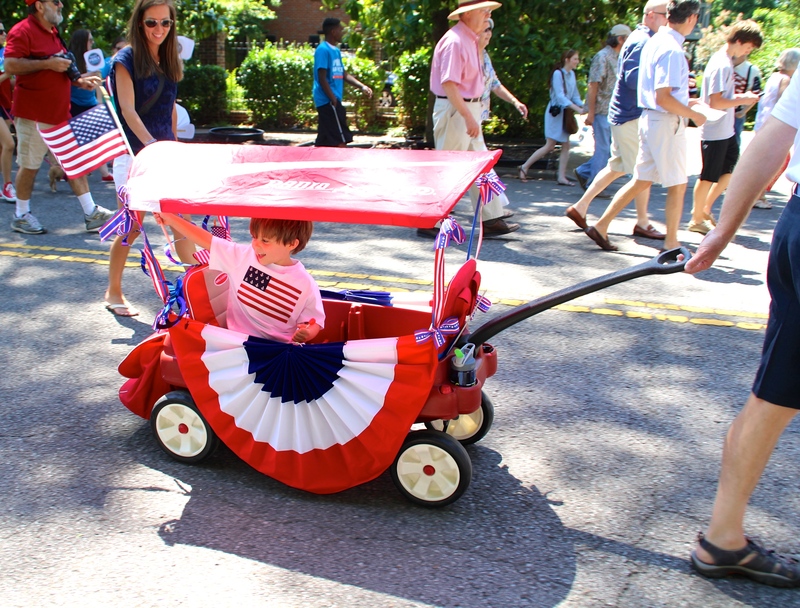 July 4th: HAPPY INDEPENDENCE DAY, AMERICA! 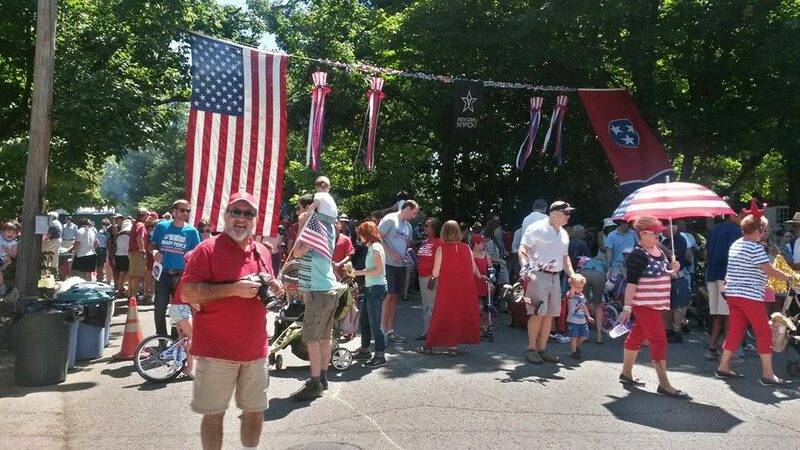 I had planned a day jam-packed with patriotism, so we made breakfast and headed down to a little neighborhood that has been putting on a 4th of July celebration for 38 years! They start with a what they called a ‘children’s parade’, even though each child had at least 2 adult escorts… so it was more like a ‘parent’s parade’. 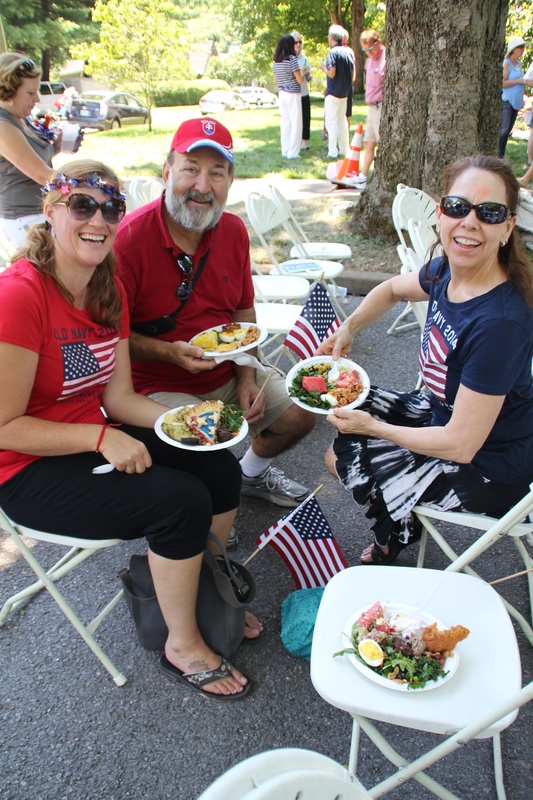 We took our dish-to-pass to the food tent & found our seats for the reading of the Declaration of Independence! Can’t you just hear this couple’s conversation? Dad is looking super-happy because of all the free hot dogs. 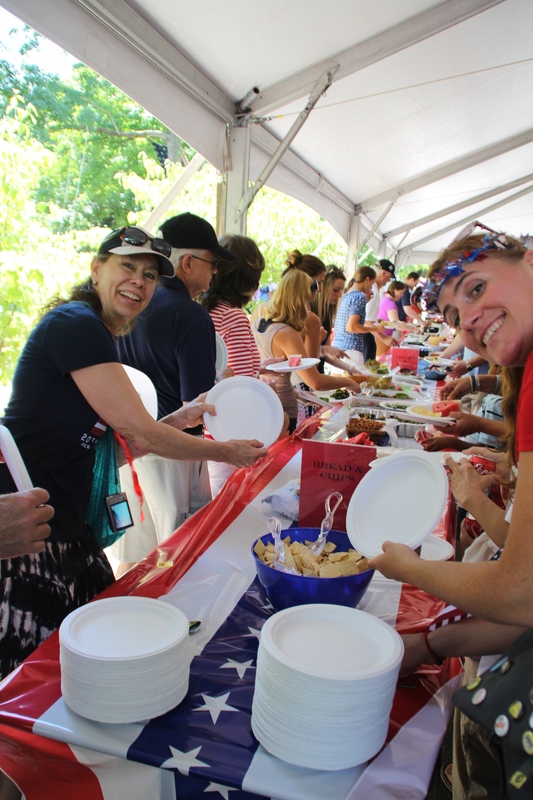 After the symphony finished their Sousa marches, it was time for the pot-luck! YUMMMMM!!! 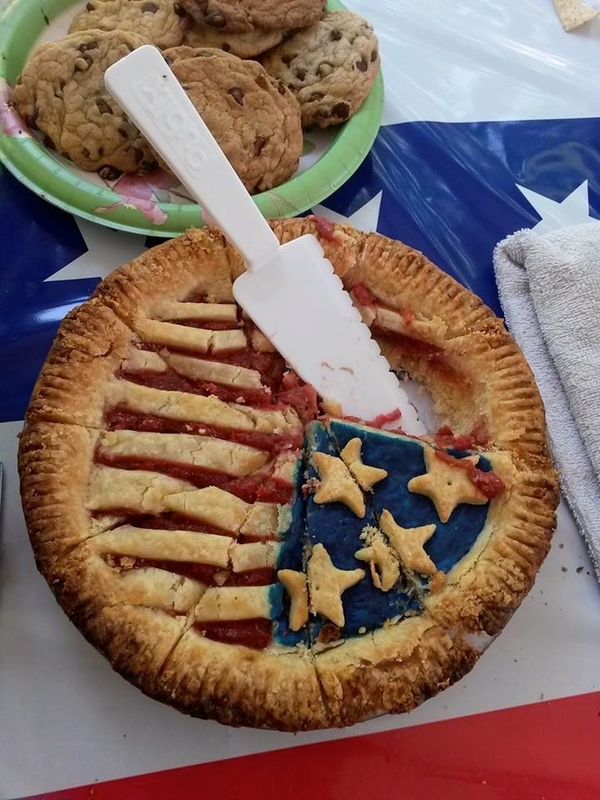 This is the most patriotic pie I’ve ever seen! And it was Natasja’s favorite: Rhubarb-Strawberry! After we pulled ourselves away from the festivities, we stopped at Centennial park. 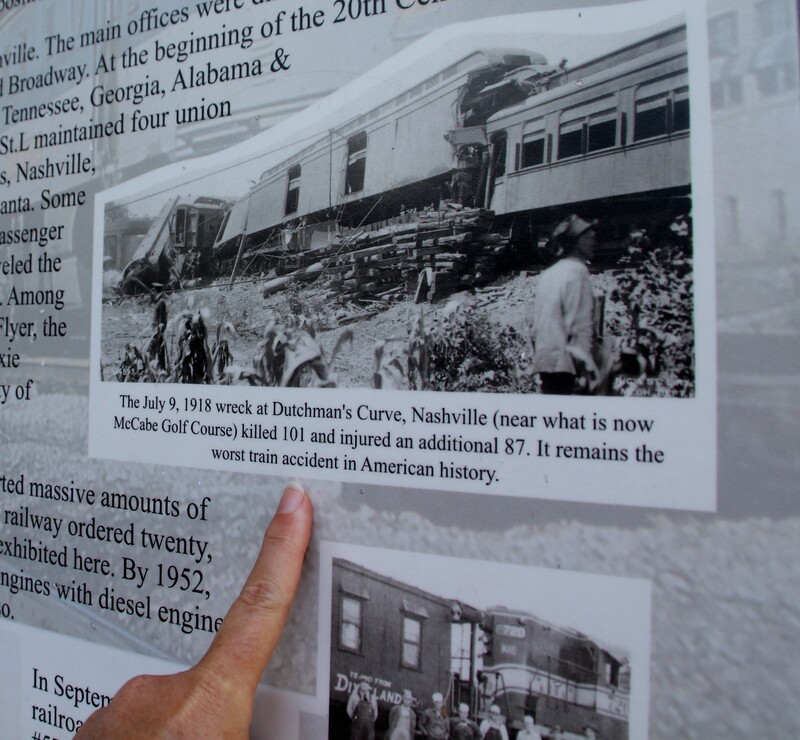 Did you know that the largest train fatality in the US happened in Nashville in 1918 on “Dutchman’s Curve”?!?! Then we head to Hillsboro to have Las Paletas popsicles- they are handmade in 30+ flavors! 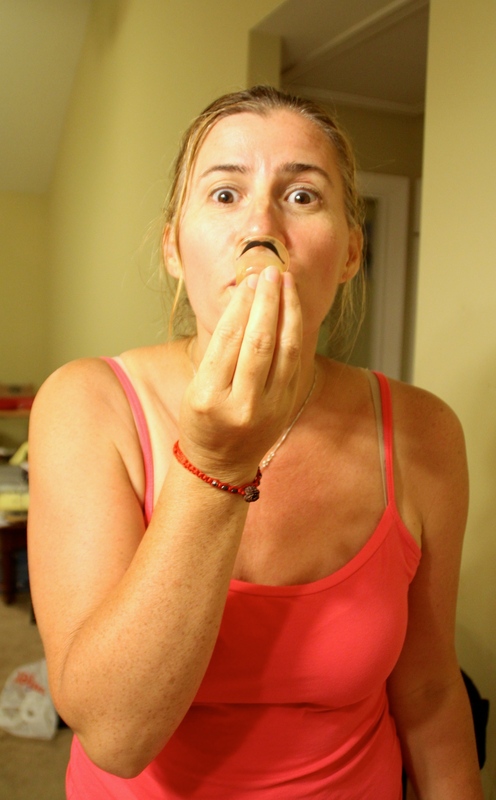 Mom & I had Mexican Caramel, made with goat’s milk! Dad had lime. N had banana, dipped in Olive & Sinclair chocolate. We were all tuckered out from the festivities and head back home to nap. We had dinner at Tenn16 (Dad wondered why his chicken & waffles had so much syrup on the chicken…) Mom & I shared some awesome meatloaf. 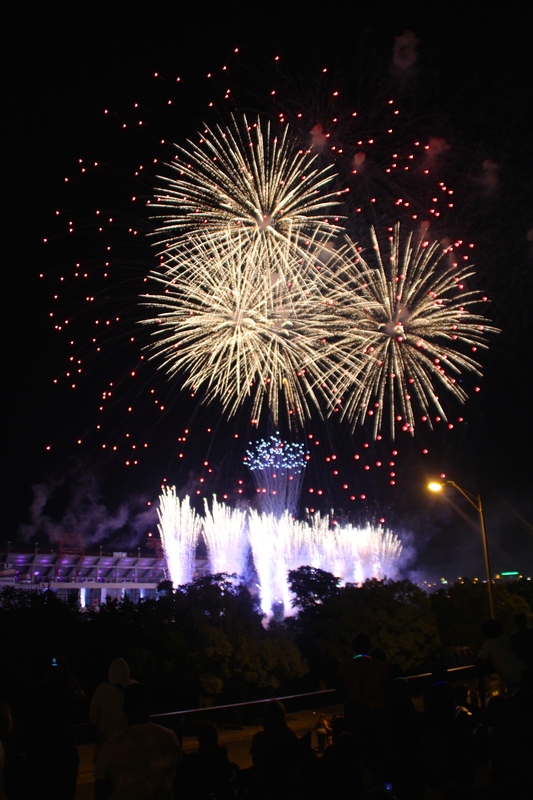 We couldn’t linger, we had to make it downtown for the fireworks! Luckily, Laura & Won had been holding some prime viewing real-estate for us! 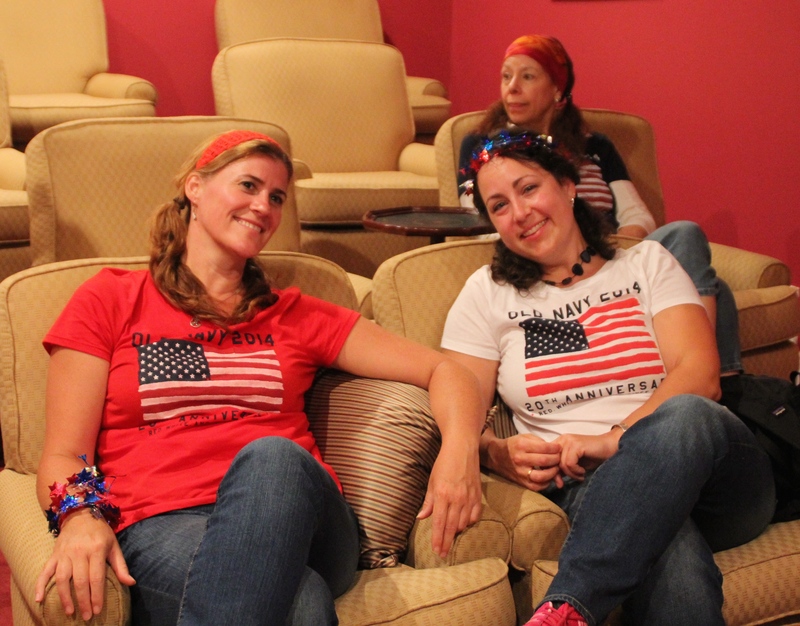 We were still wearing our patriotic matching outfits! 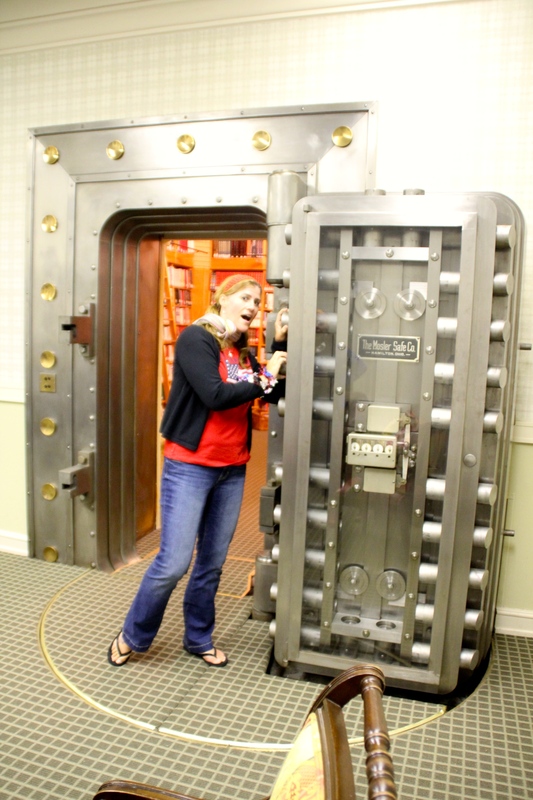 The 10 minute drive to downtown took 45 minutes… but when we got there- it was totally worth it! The show was the 2nd, only to NYC’s this year! 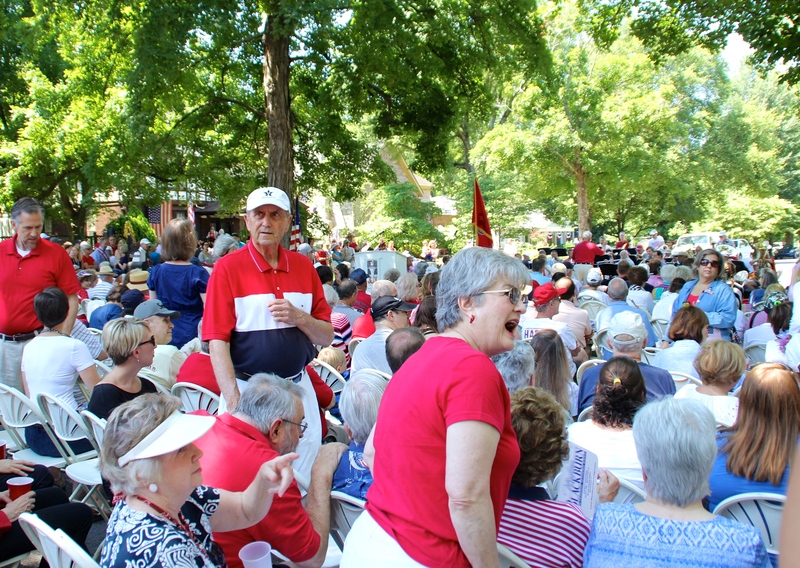 The thing that made it really over the top was the Nashville symphony- they were playing music, synchronized with the blasts! Too bad they didn’t have louder speakers. 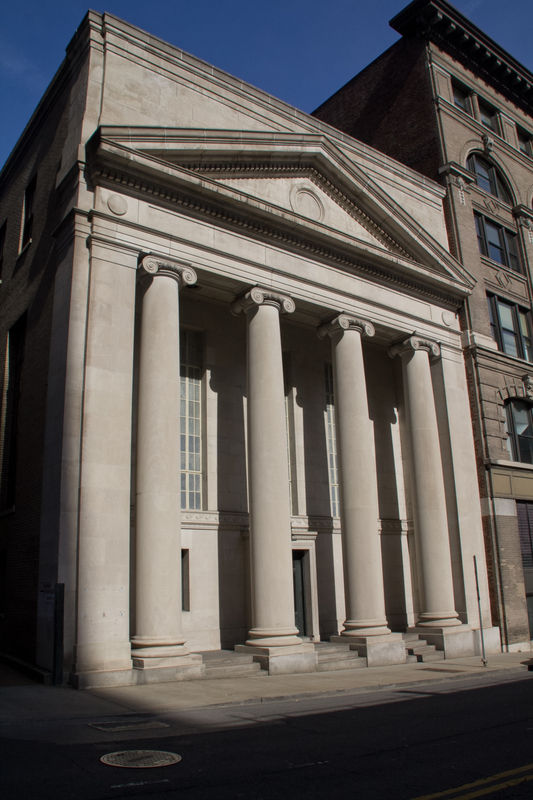 While we waited for the traffic to clear, we checked out Won’s house, that used to be a bank. 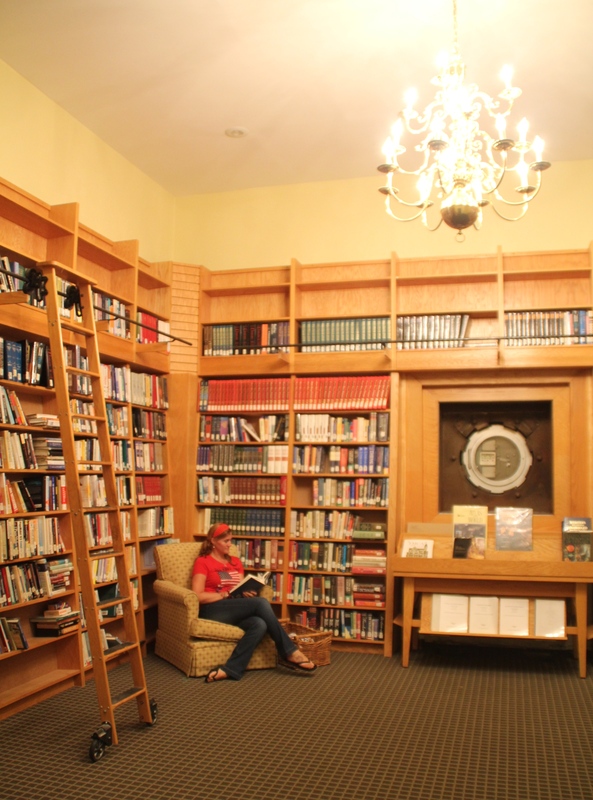 He turned his 3 story vault into a library, using shelves from the bankrupt Border’s Books. This is where you make deposits! 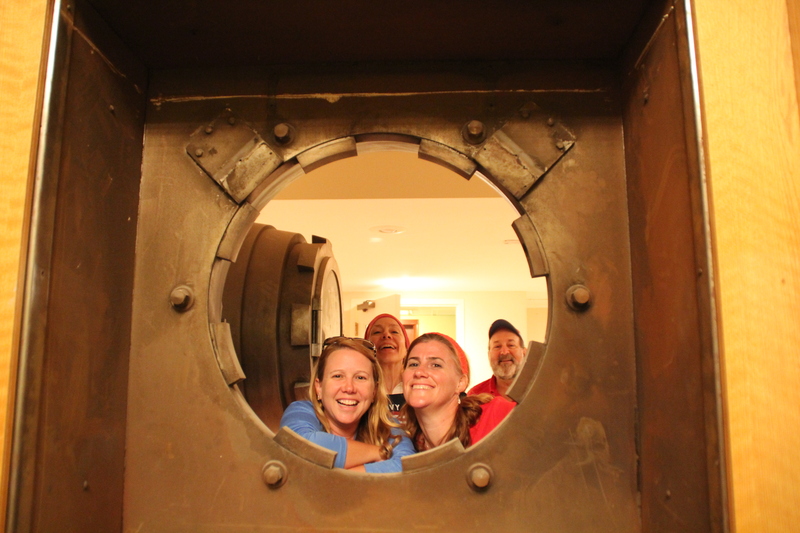 And photobombs! There is a theatre upstairs! And a ballroom! 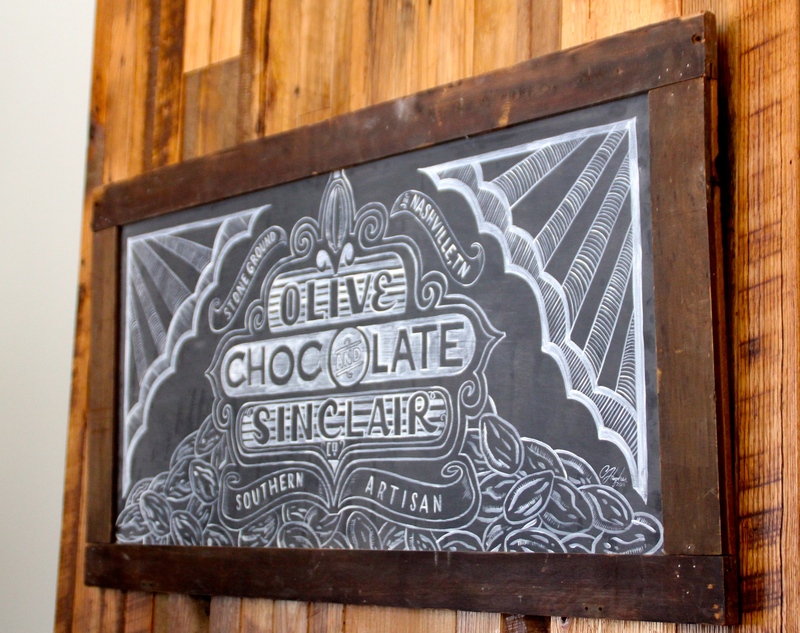 July 5th: Breakfast at home, then off to Olive & Sinclair for a chocolate tour! 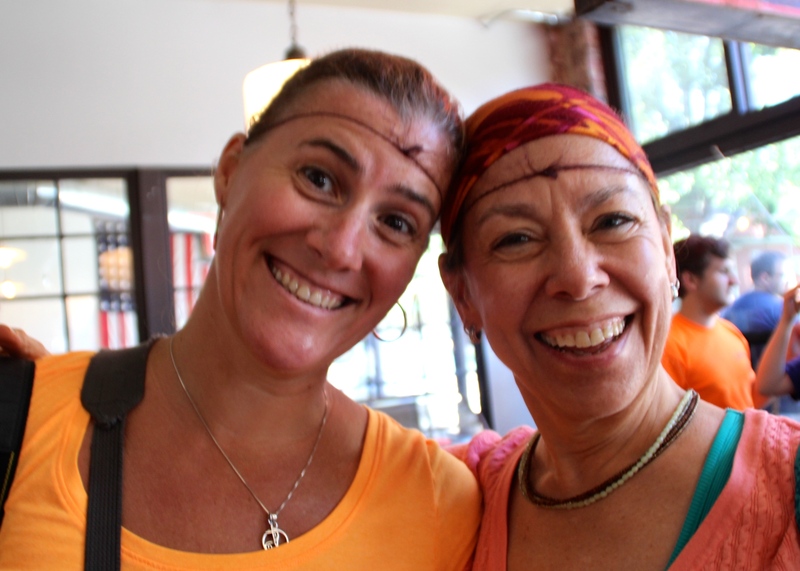 Mom and Natasja look fabulous in their hairnets! 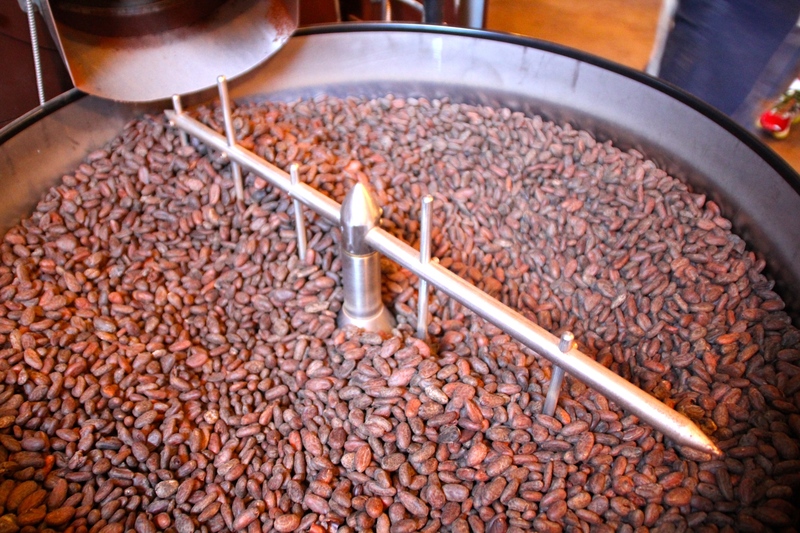 Roasting Beans. 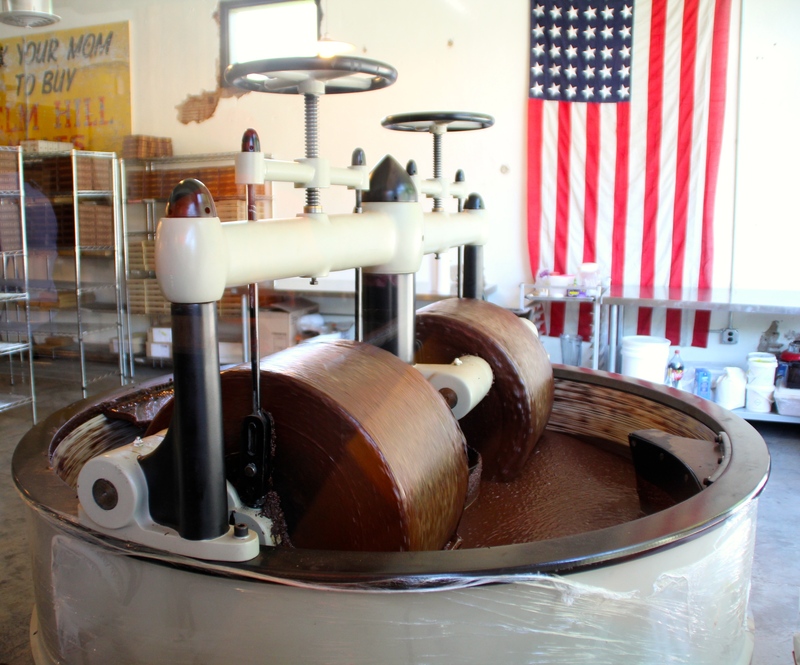 Even the chocolate grinder is patriotic. 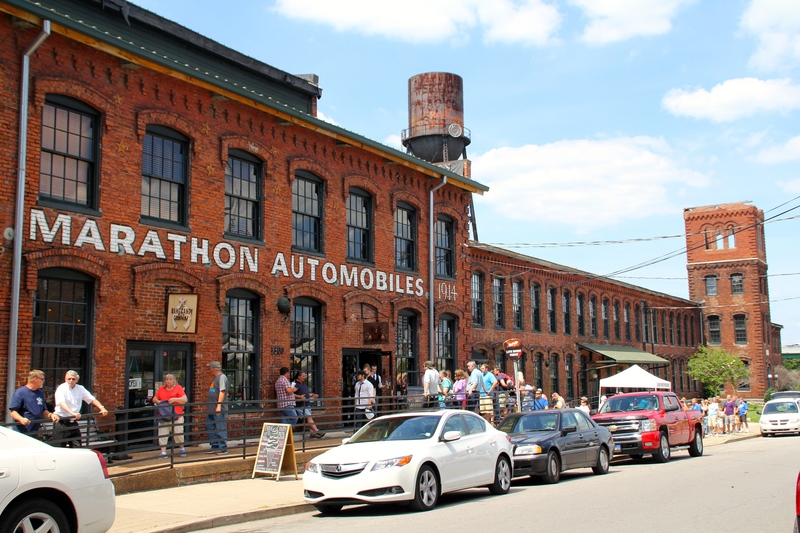 Then, off for burgers and Mint-Oreo shakes at Bobby’s and a stop at Antique Archeology, which is the shop from the History Channel show, American Pickers. There was a long line and it was boring. Don’t bother. It was WORLD CUP time! Off to a patio pub to watch the Netherlands vs. Costa Rica! It was 0-0 at the end of the game… so on to penalty kicks! 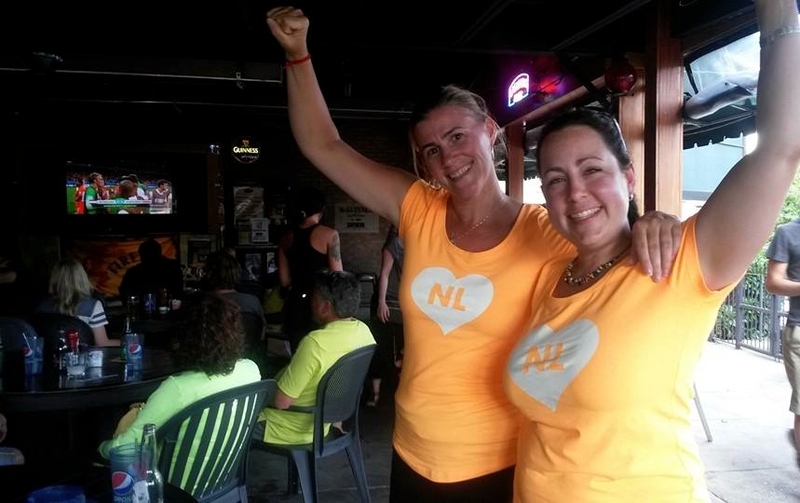 HUP, Holland, HUP! AND THEY WON!!! 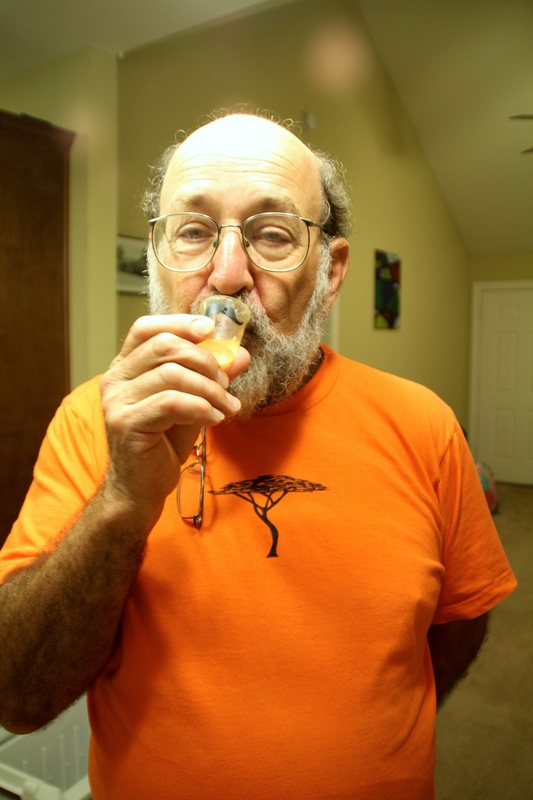 To celebrate the end of a successful visit, we toast with tiny mustache glasses full of Limoncello, sent as a gift by Natasja’s handsome Italian cousin, Silvio. It’s too bad this epic week is over! I miss you, Natasja! Ciao, Bella! July 6th: Mom and Dad headed home after breakfast, taking their, “newest & tallest daughter” with them. I was sad to see them go, but N got to see the new house in progress AND my baby photos. So it was worth it. 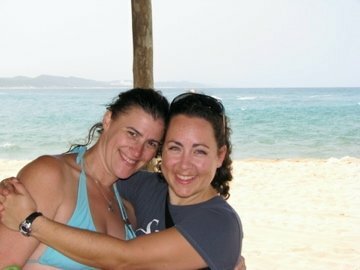 Natasja- I can’t wait to figure out where in the world we will meet up next!! !